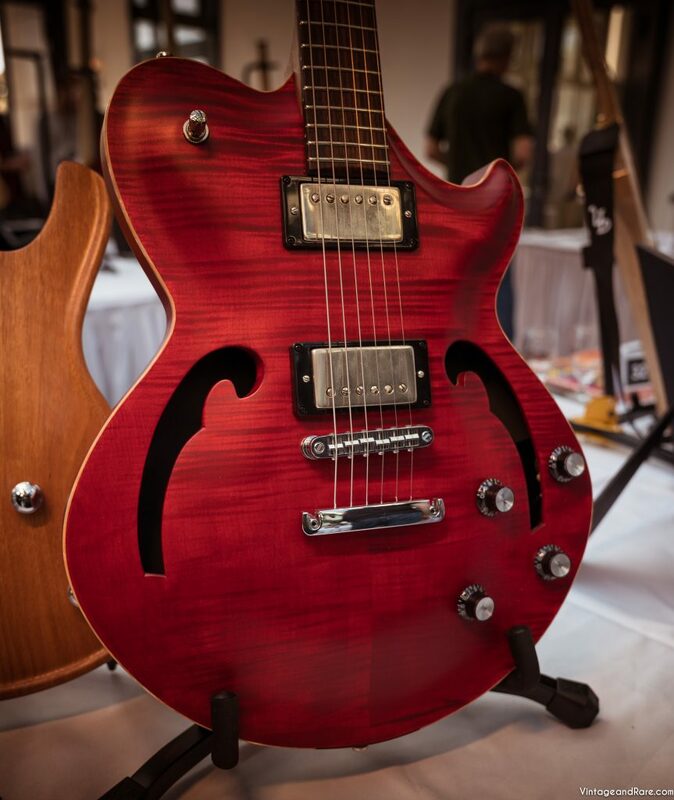 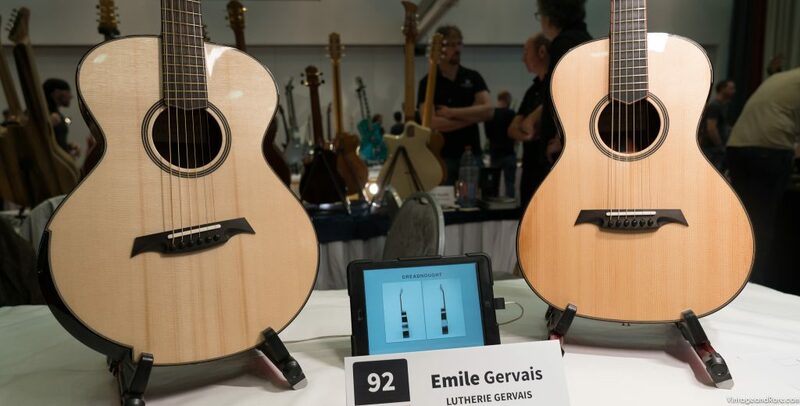 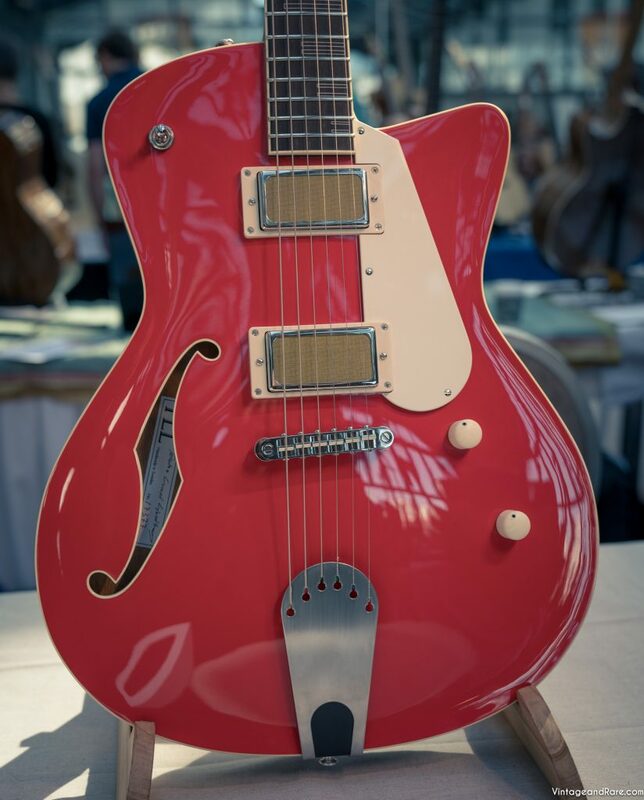 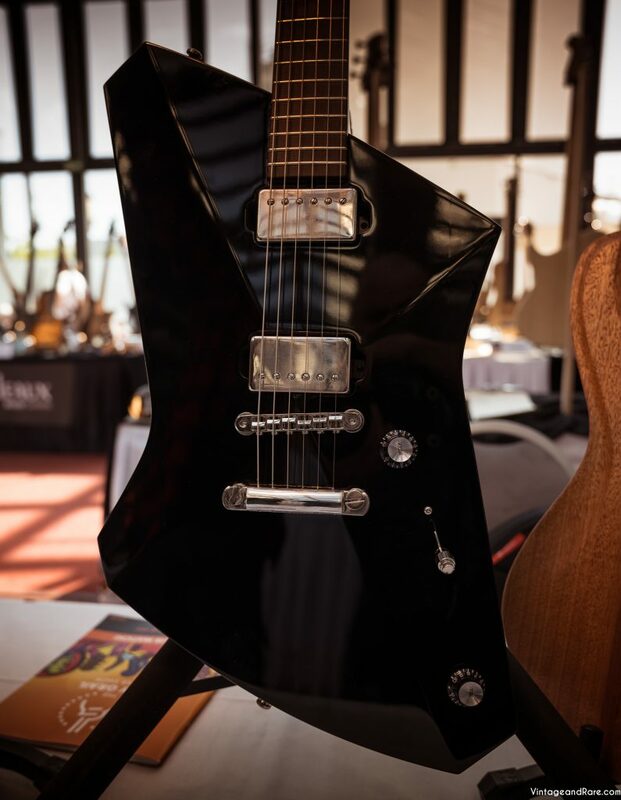 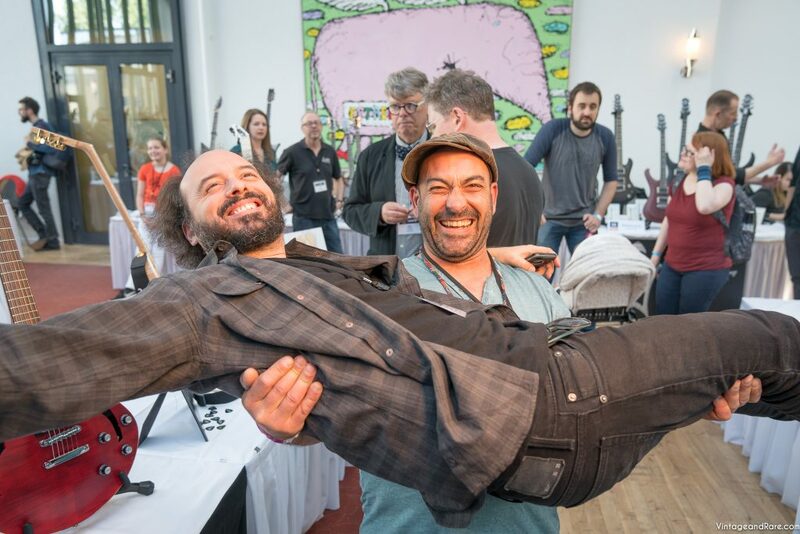 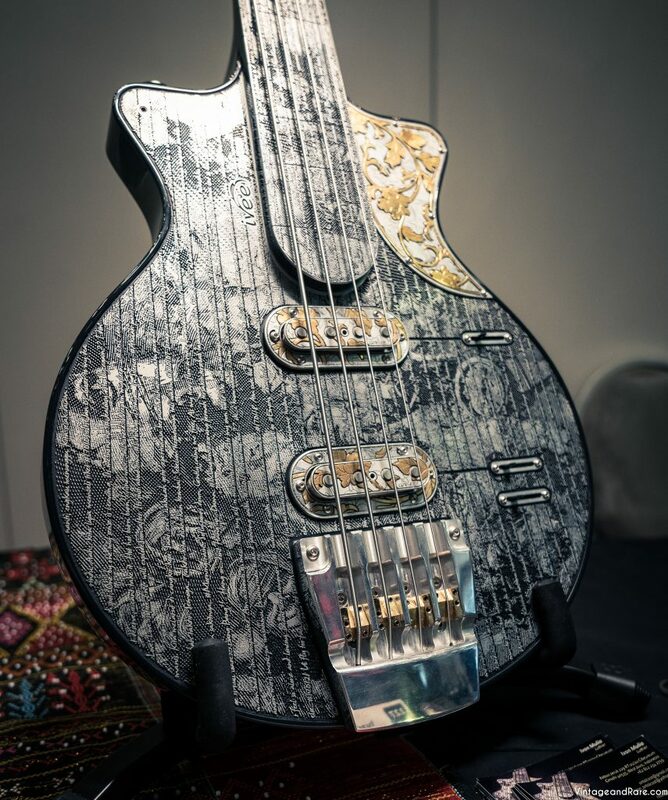 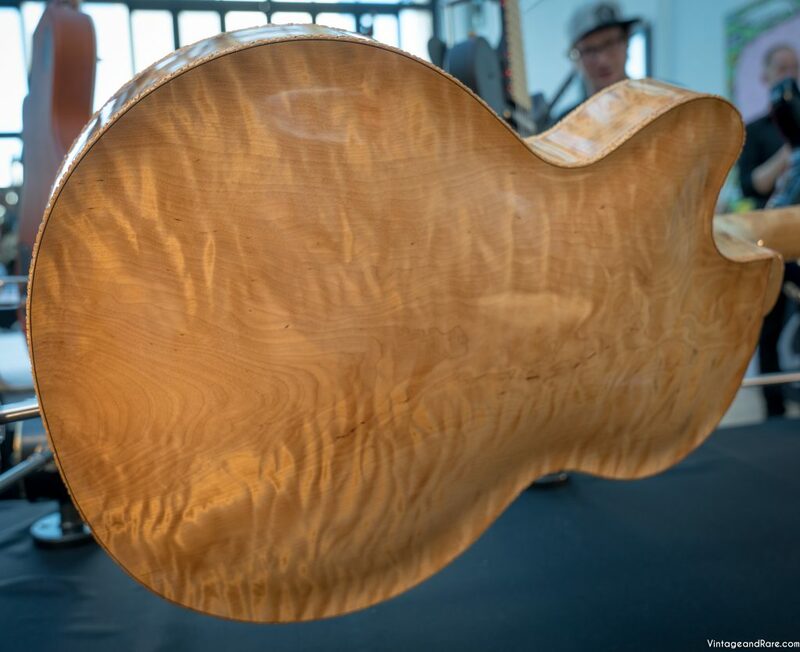 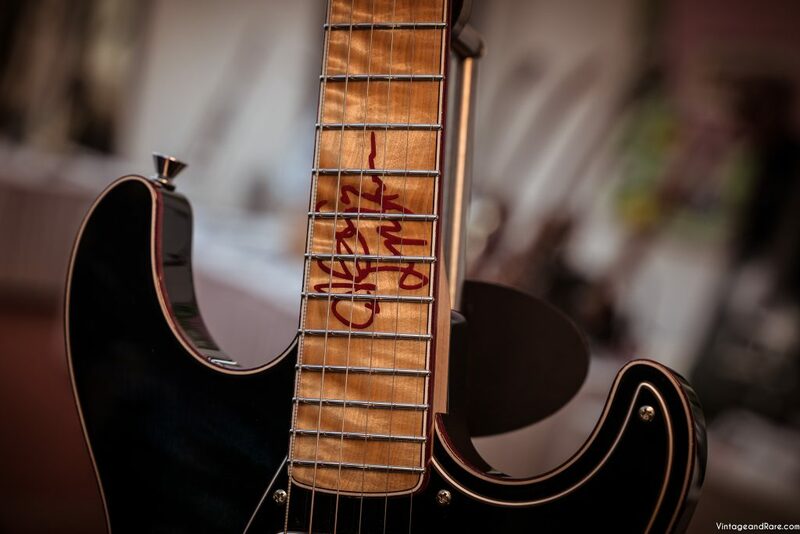 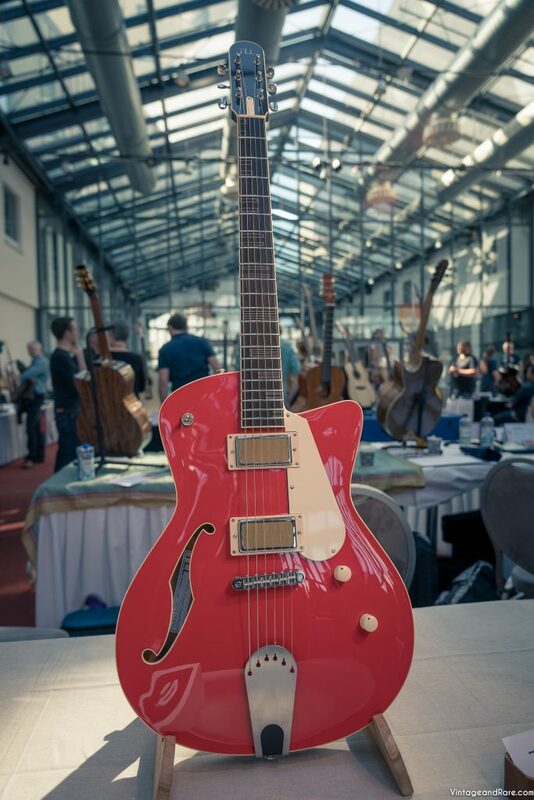 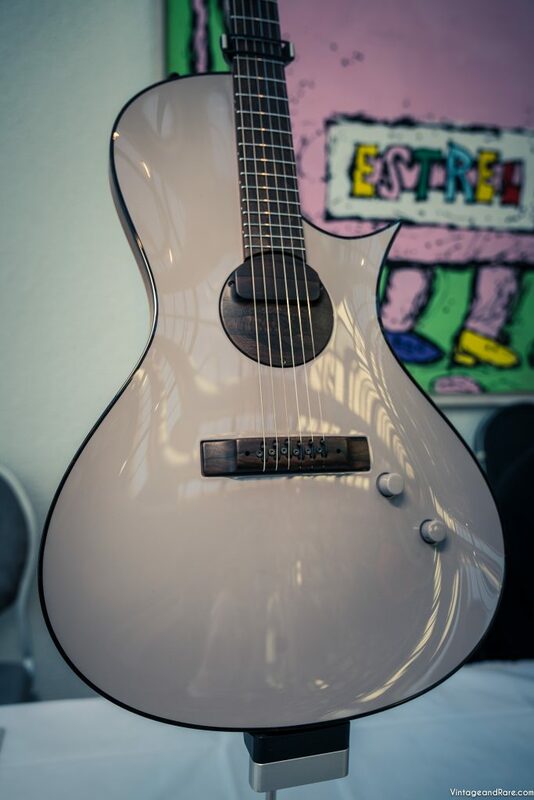 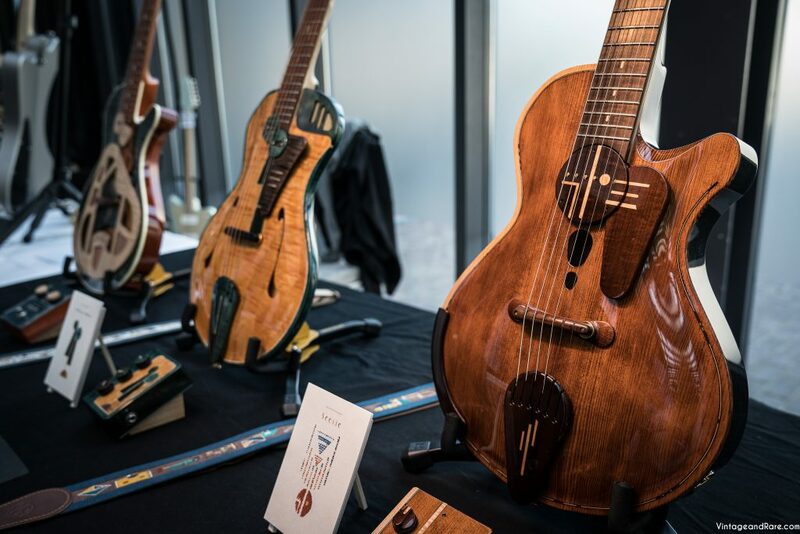 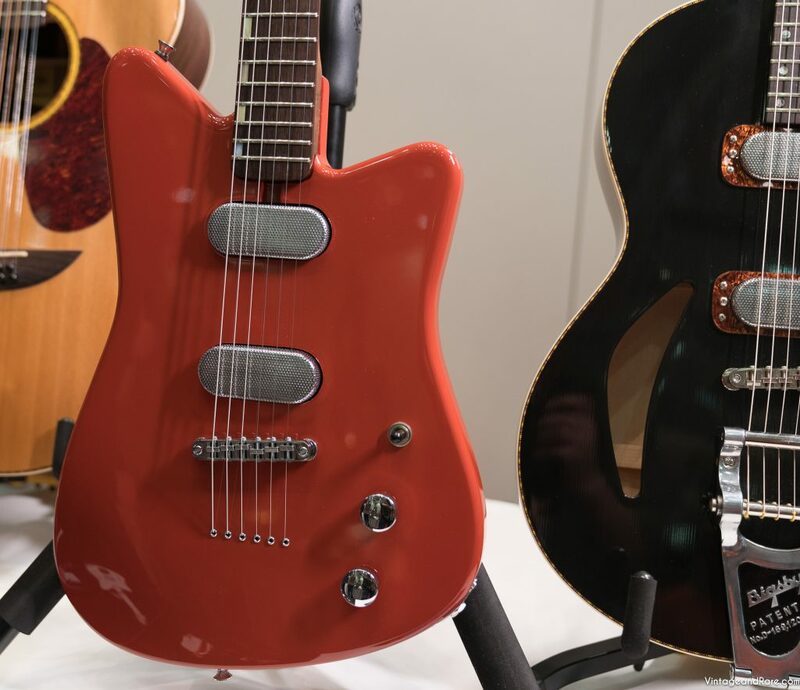 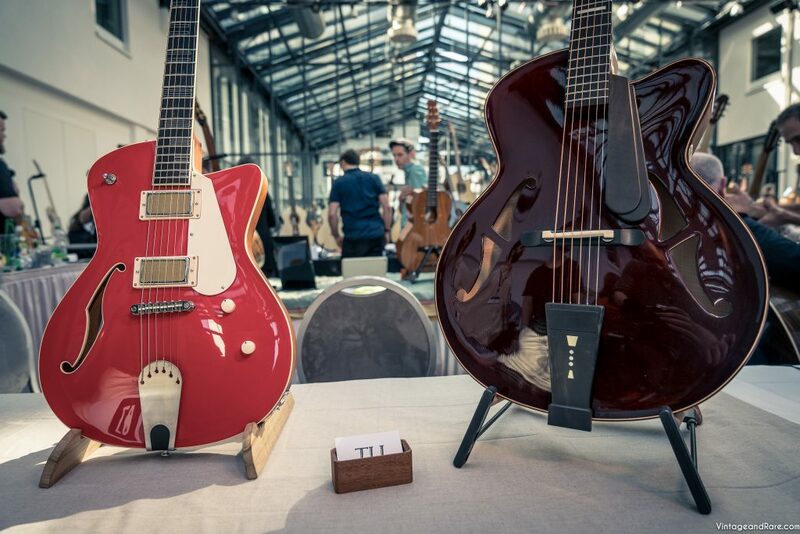 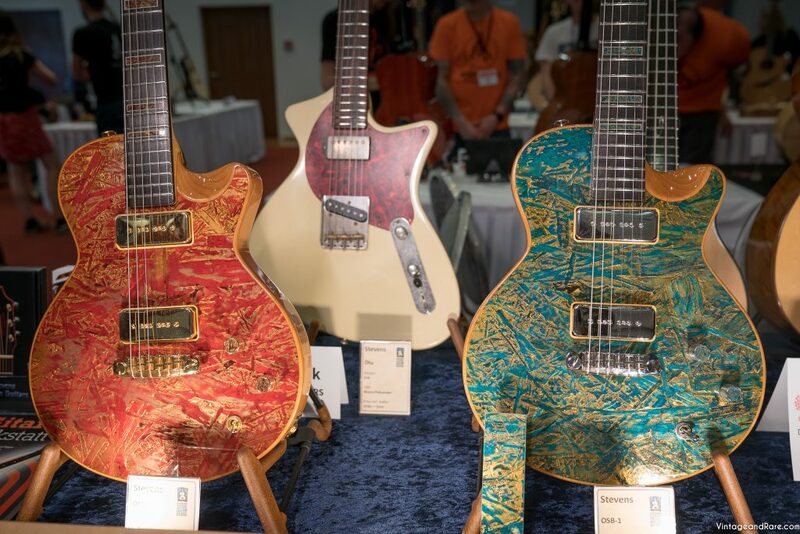 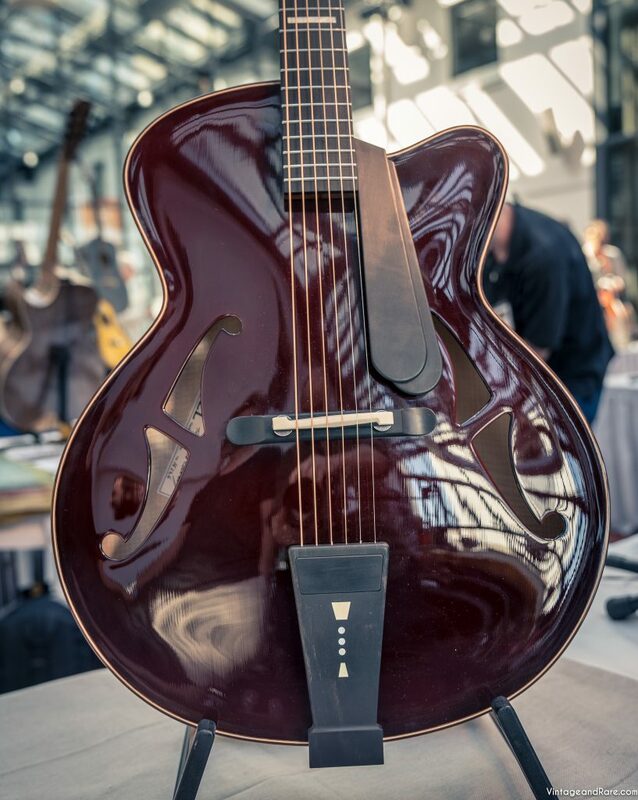 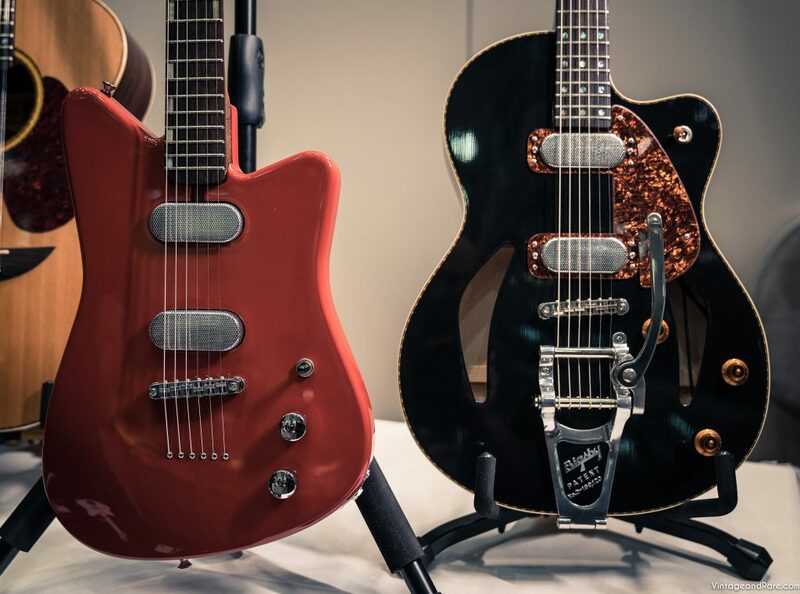 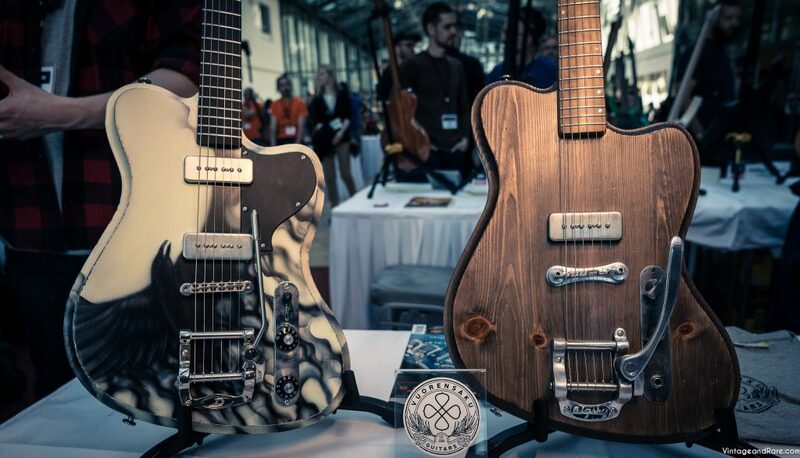 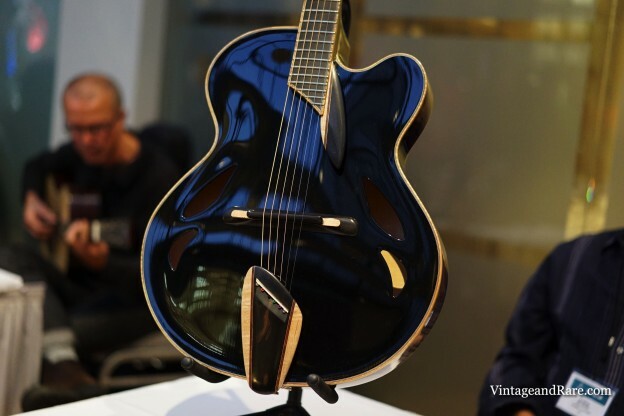 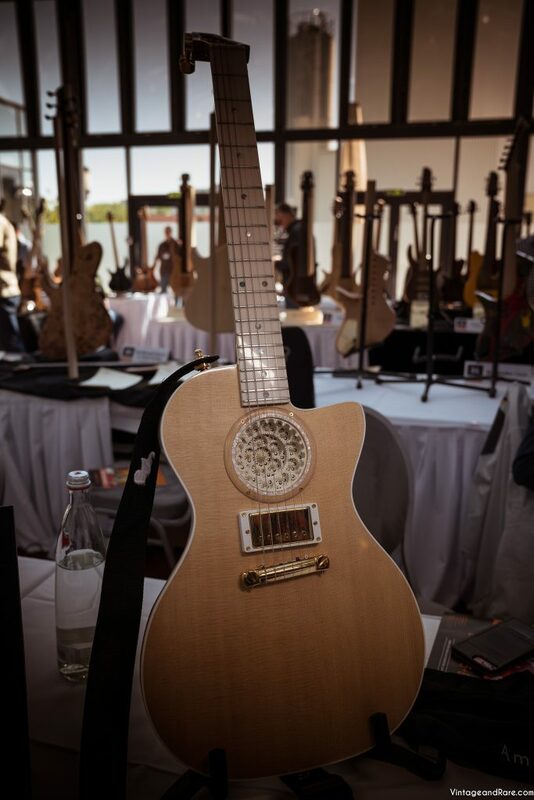 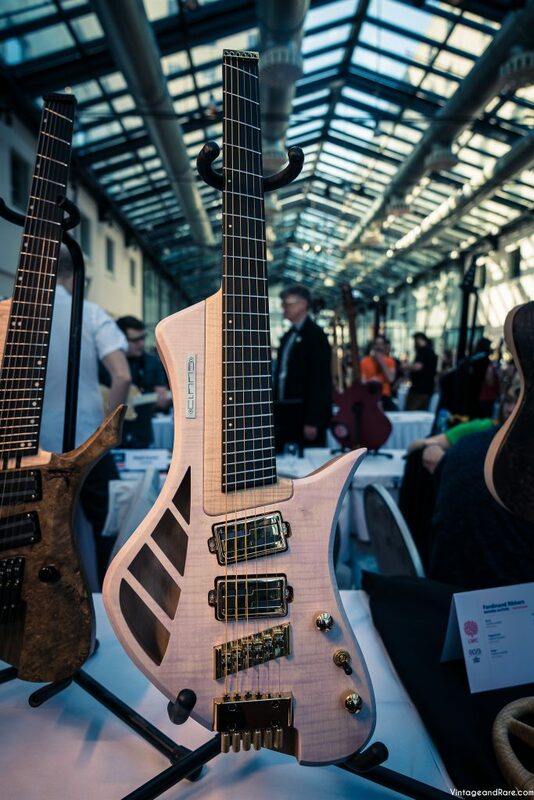 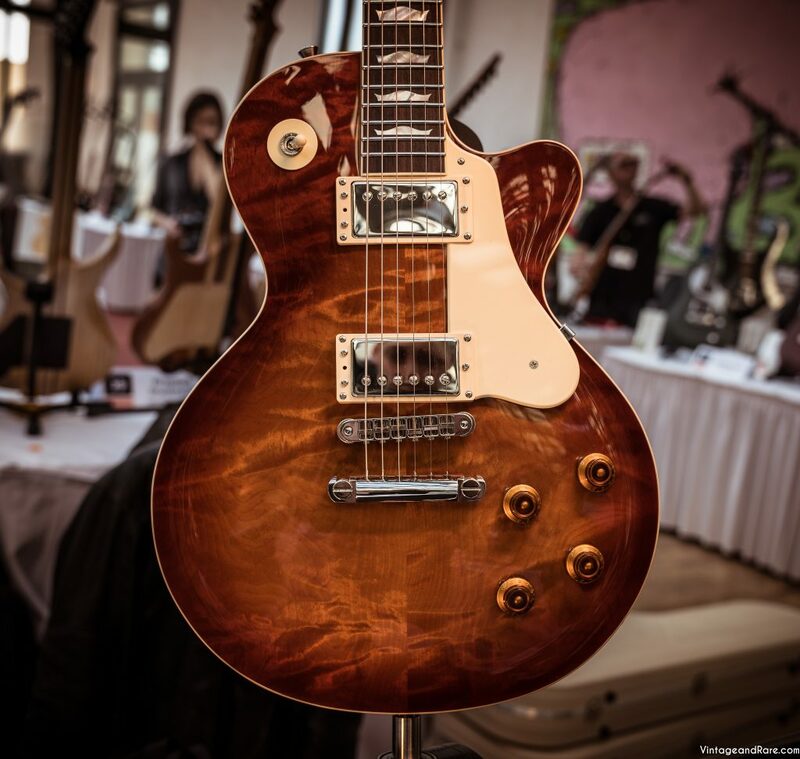 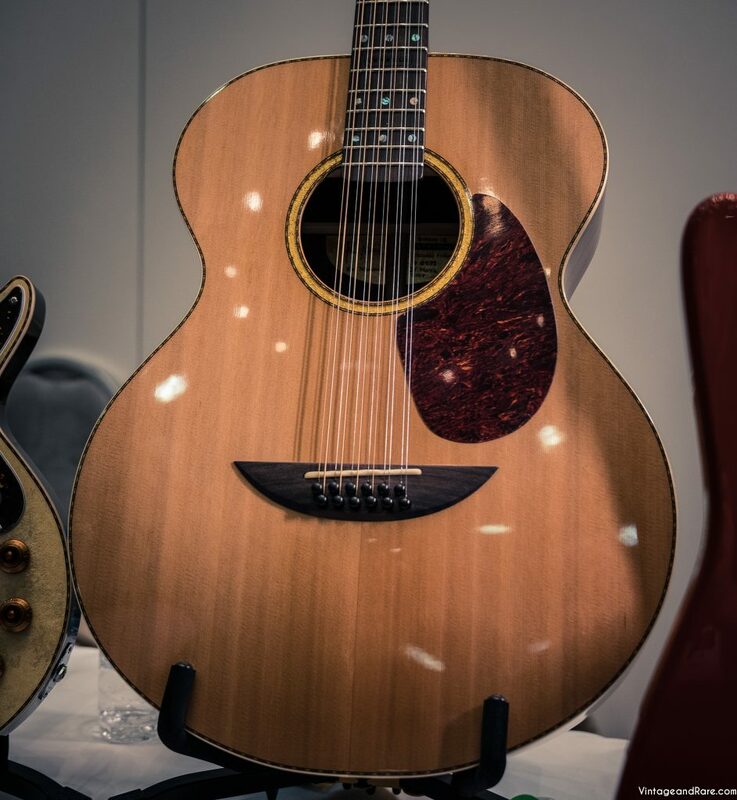 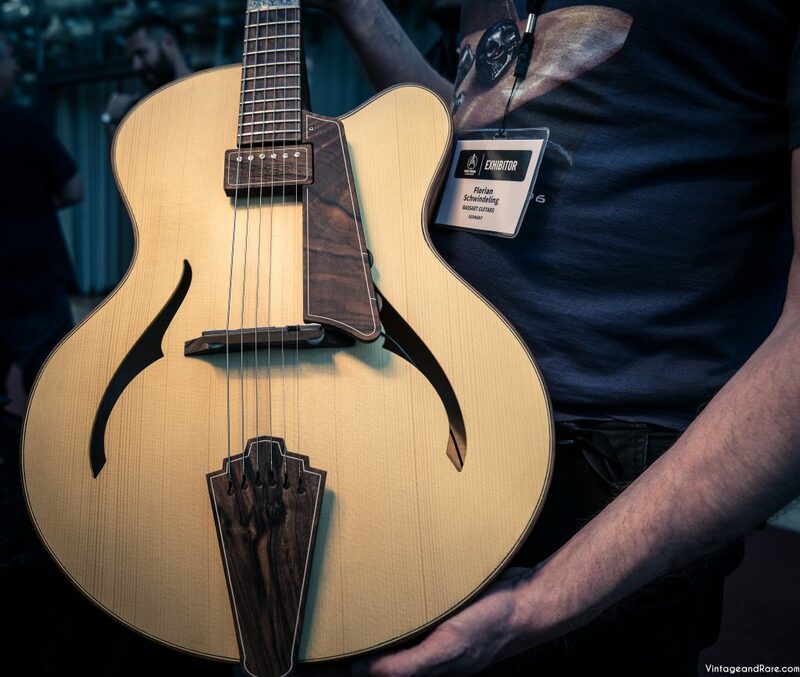 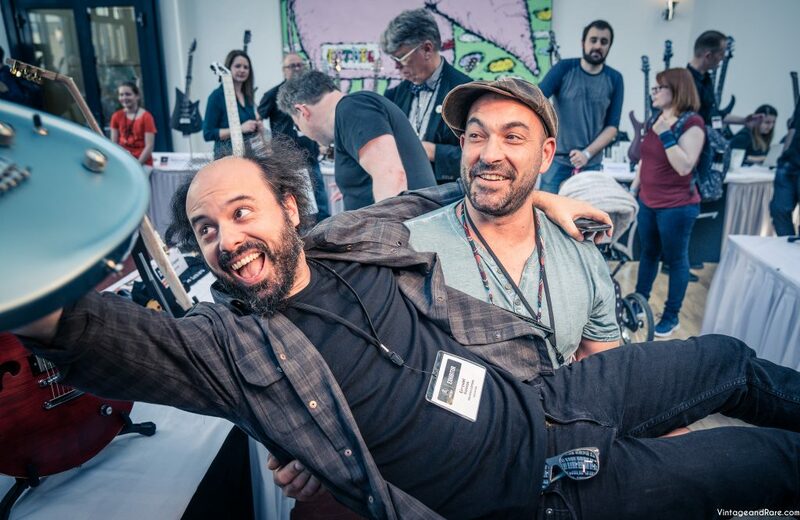 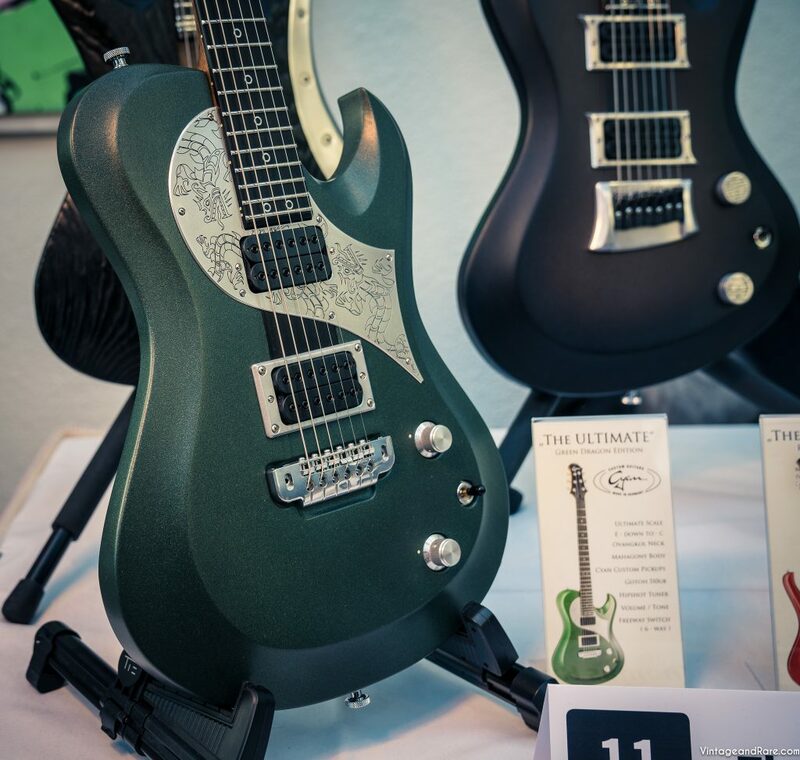 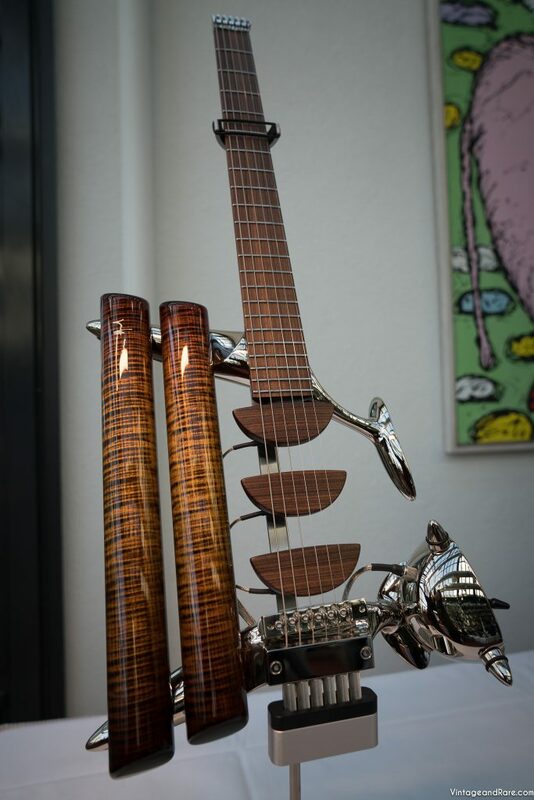 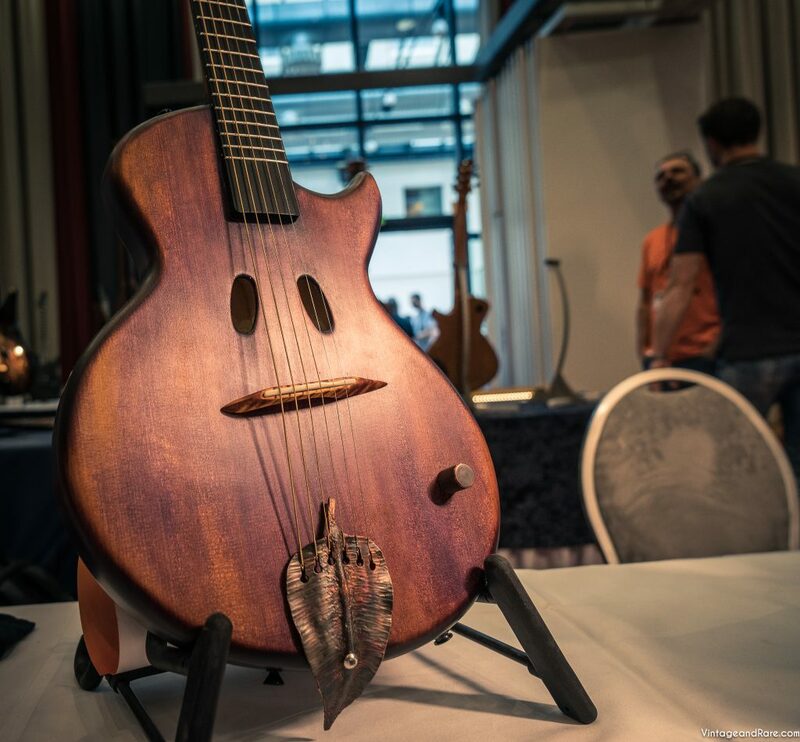 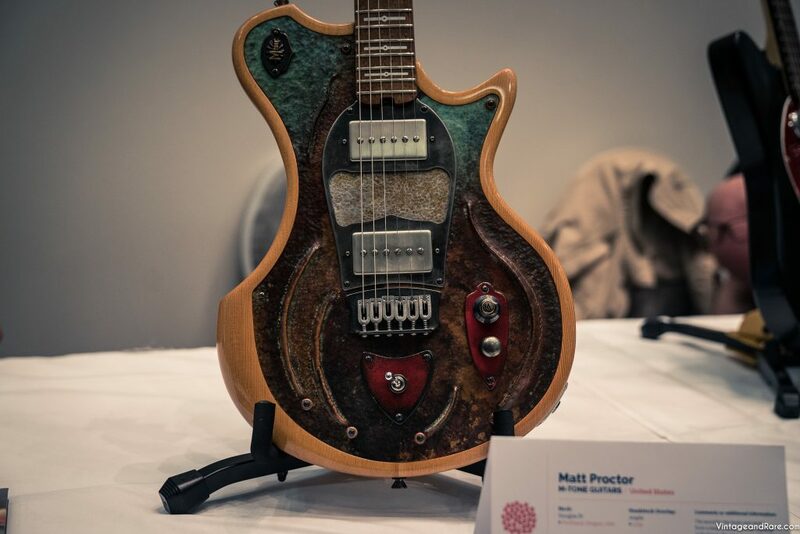 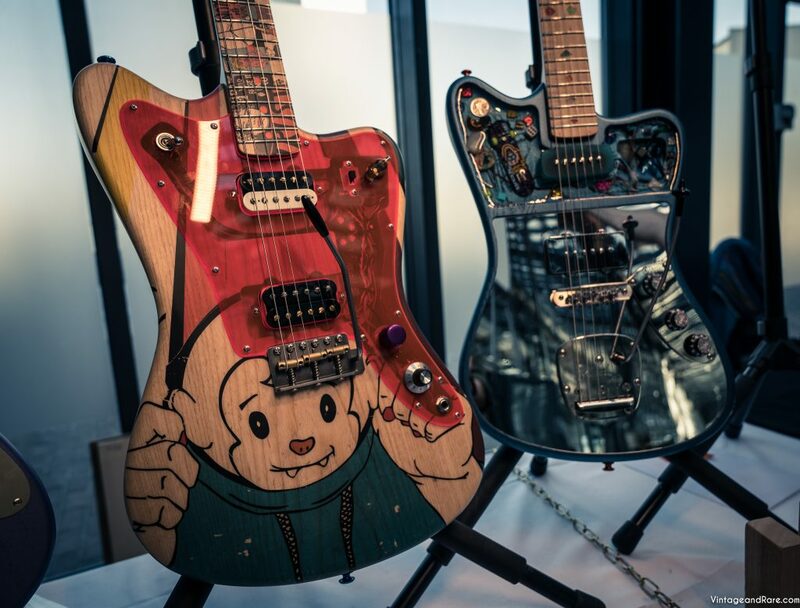 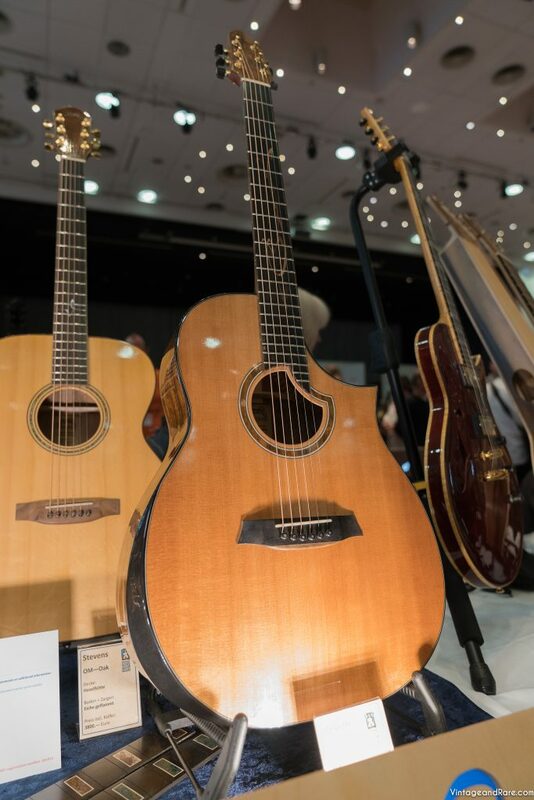 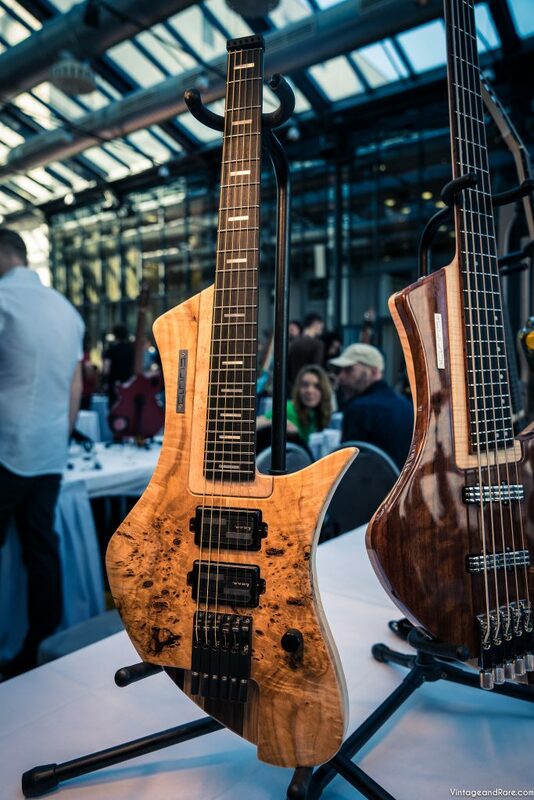 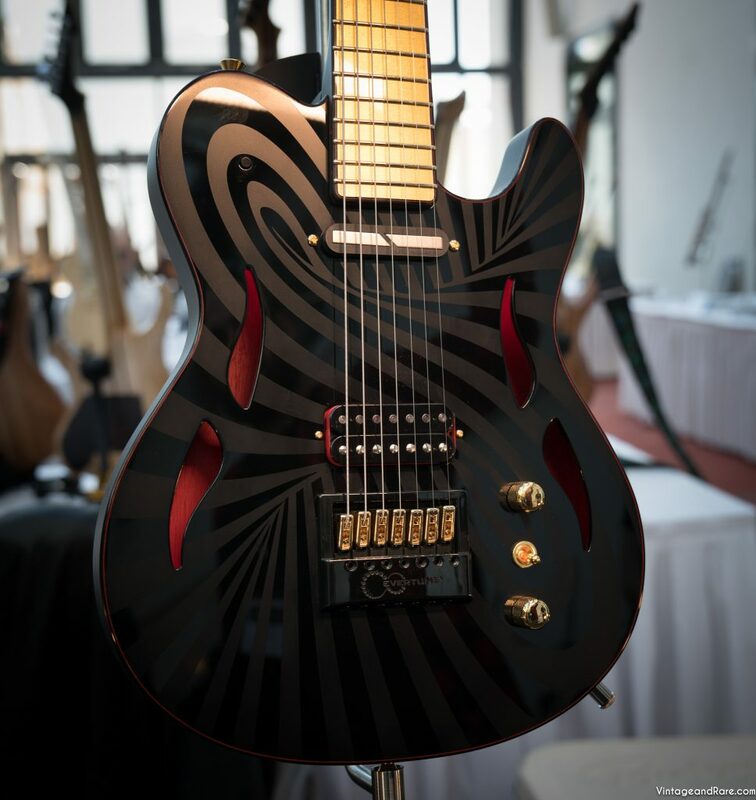 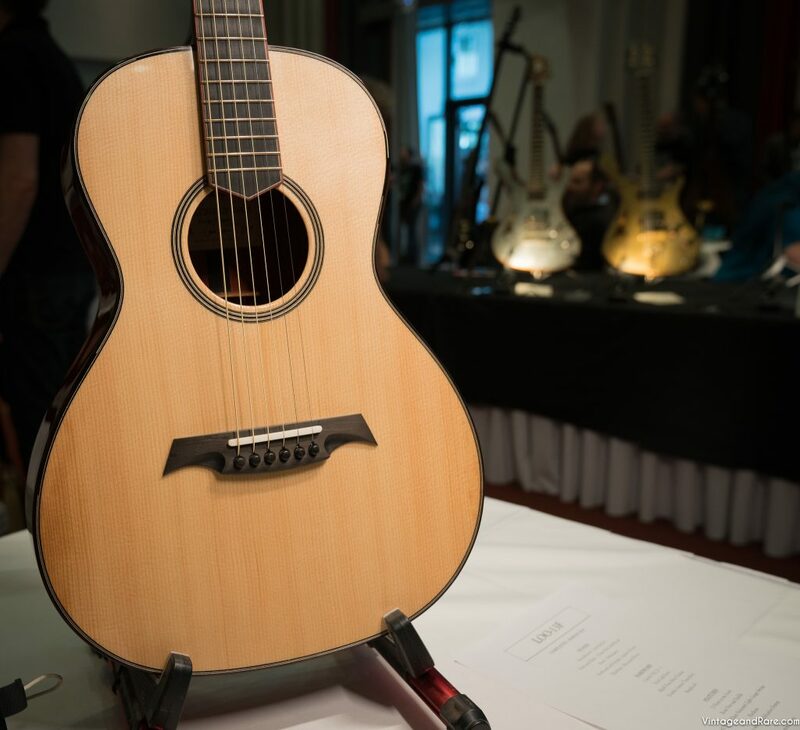 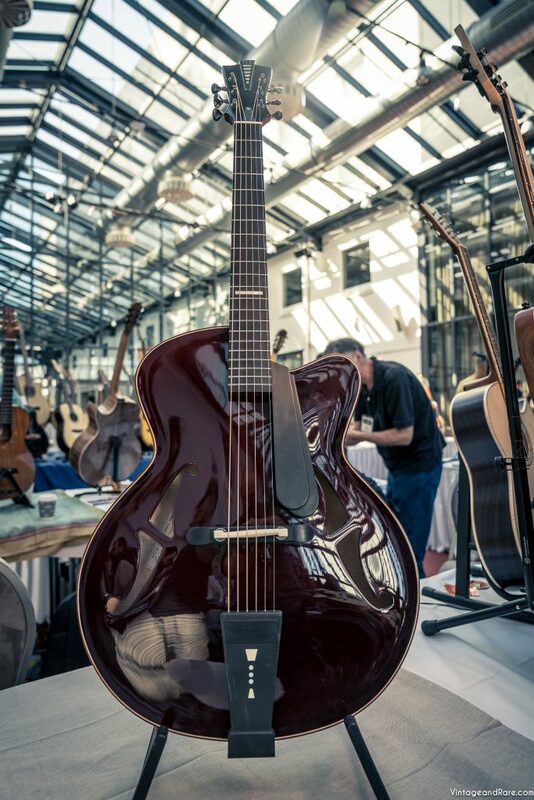 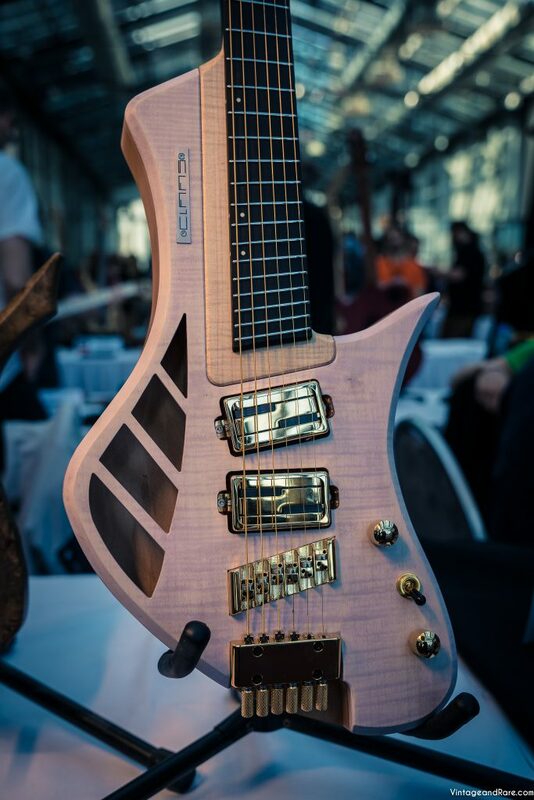 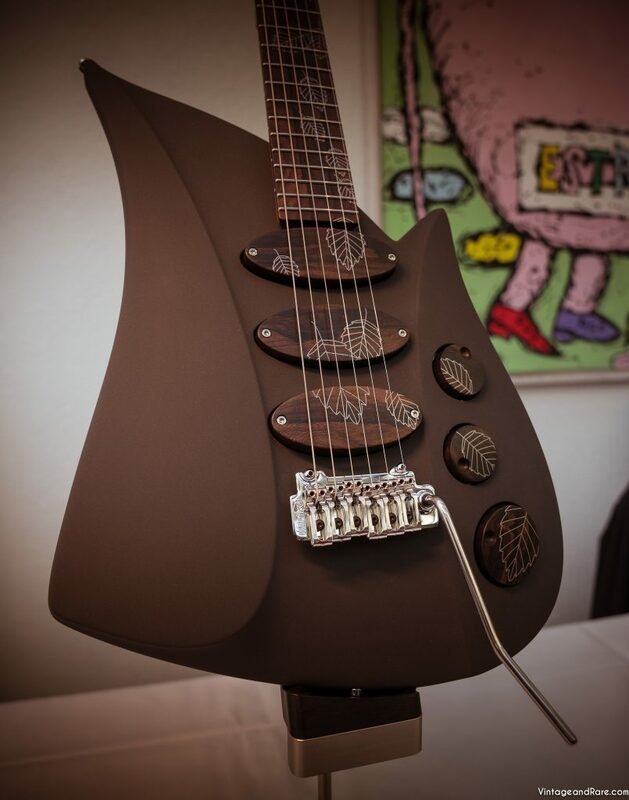 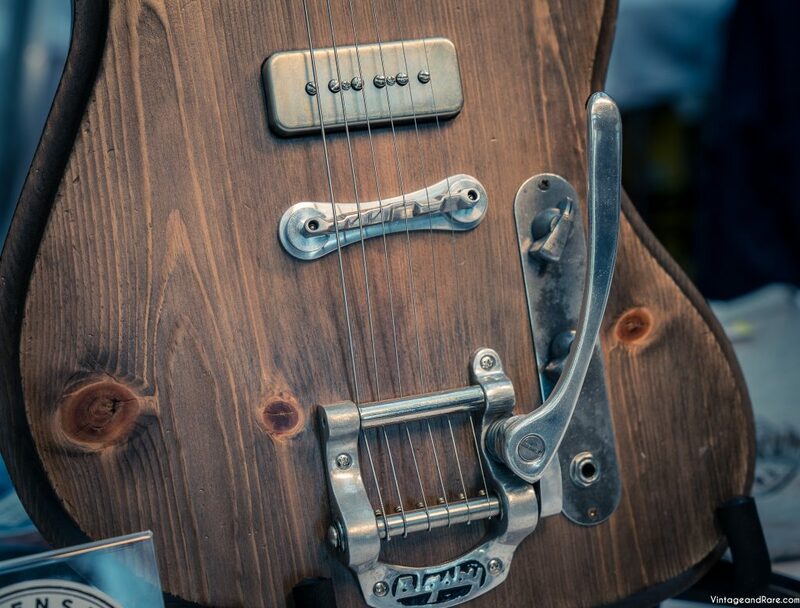 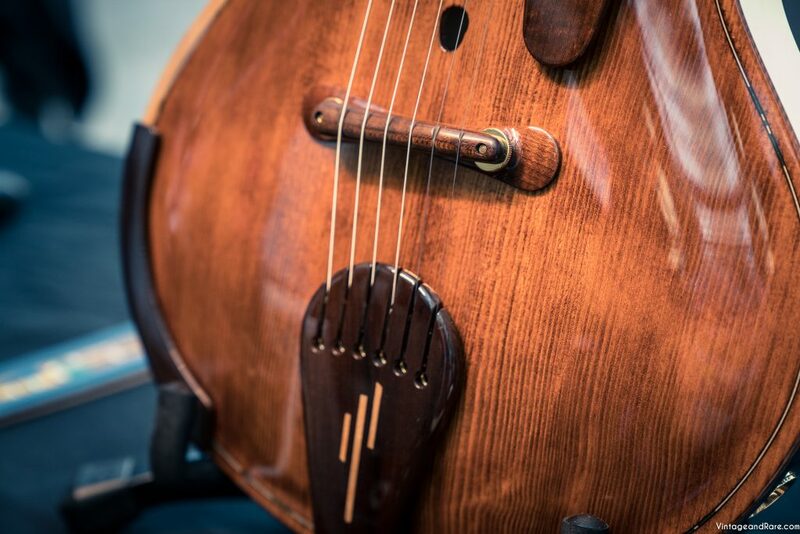 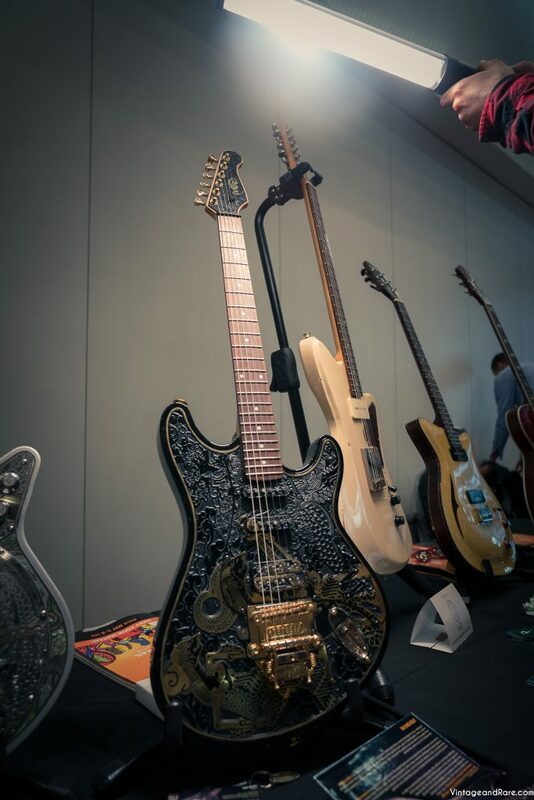 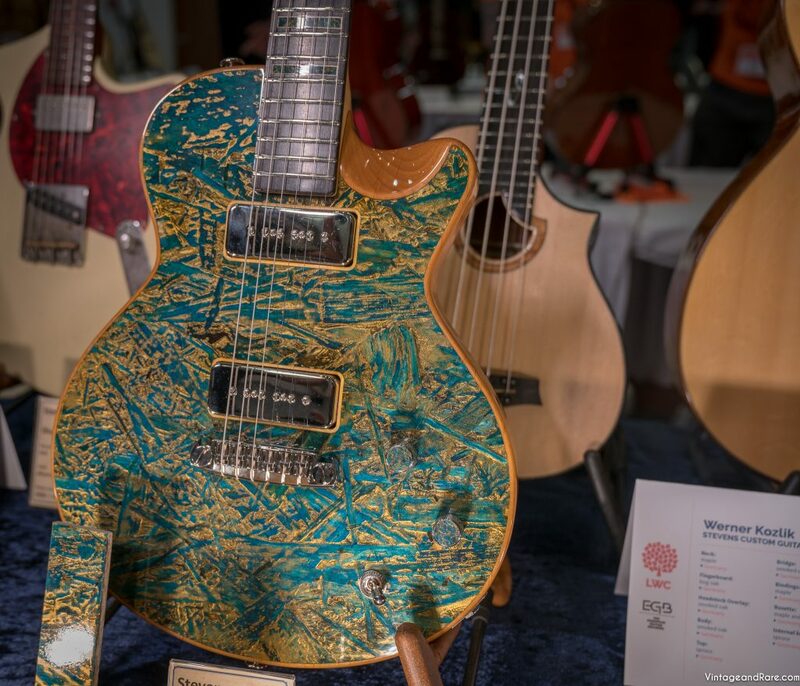 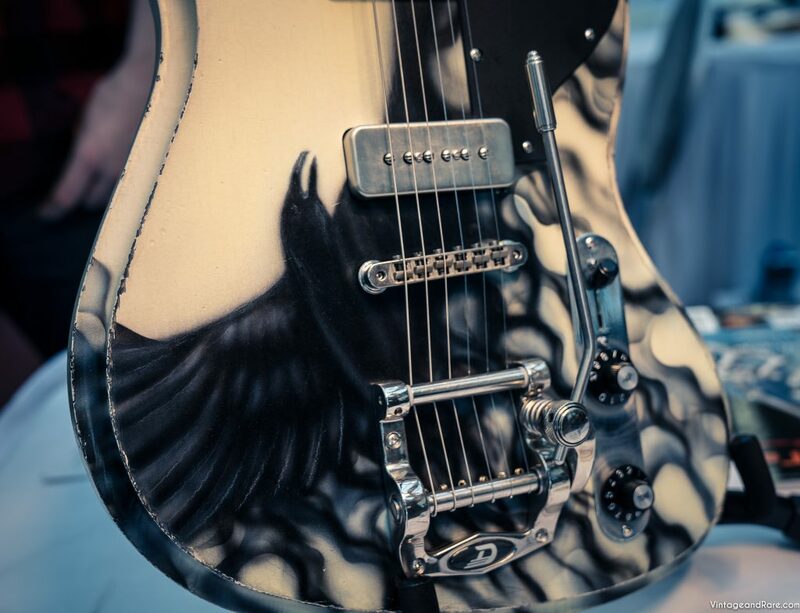 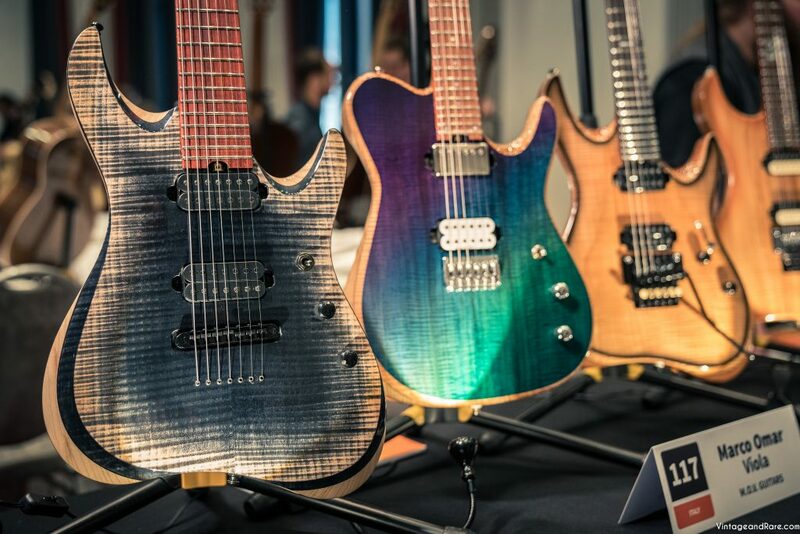 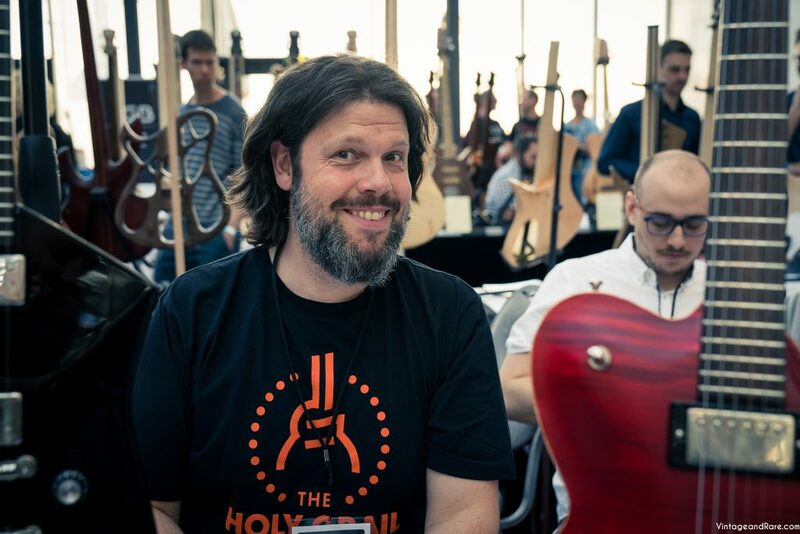 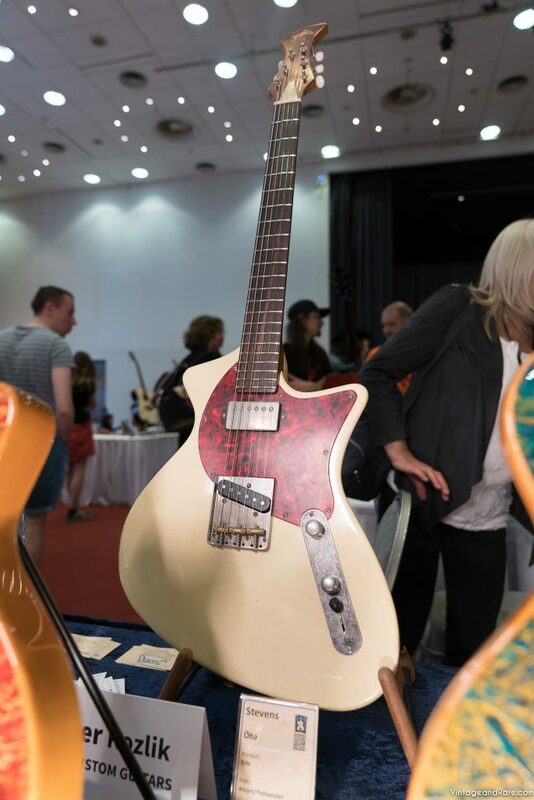 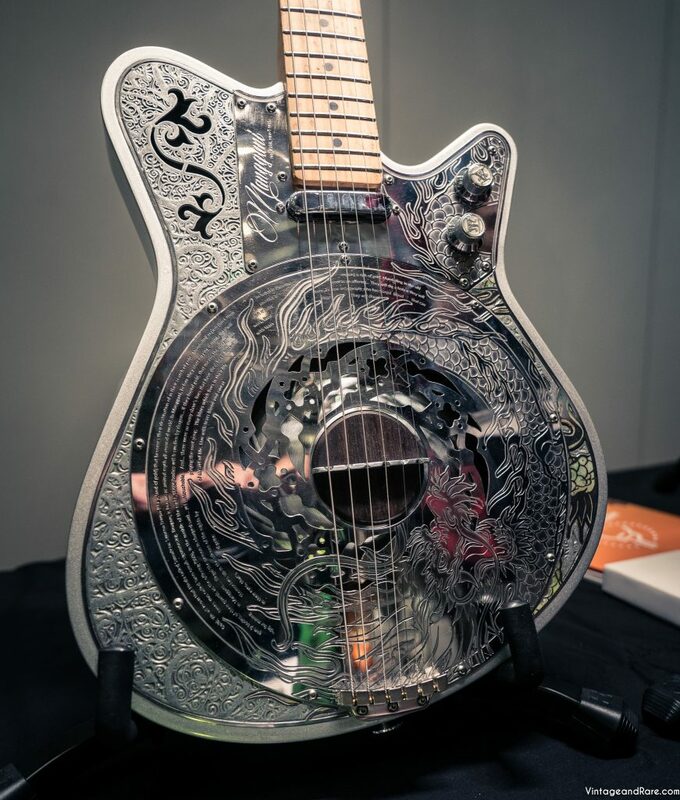 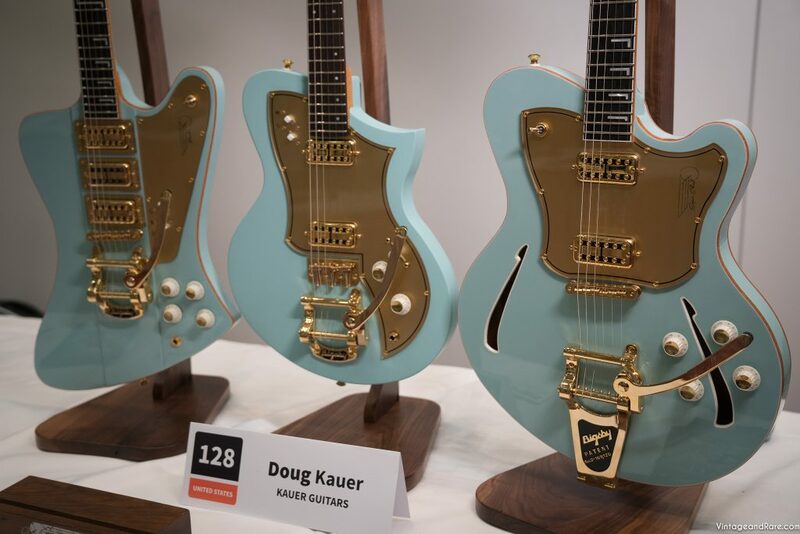 Holy Grail Guitar Show in Berlin marks an annual highlight for hand built guitars & basses from luthiers from all over the world. 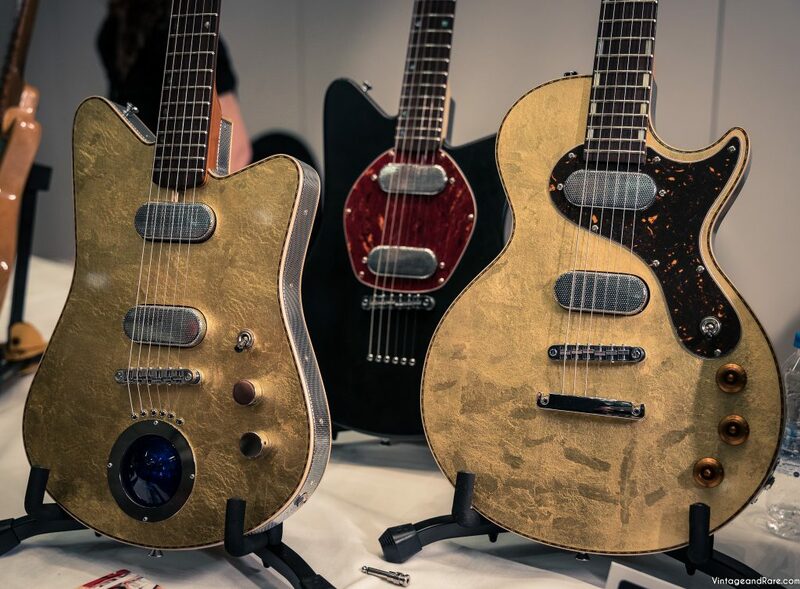 And this year was no exception. 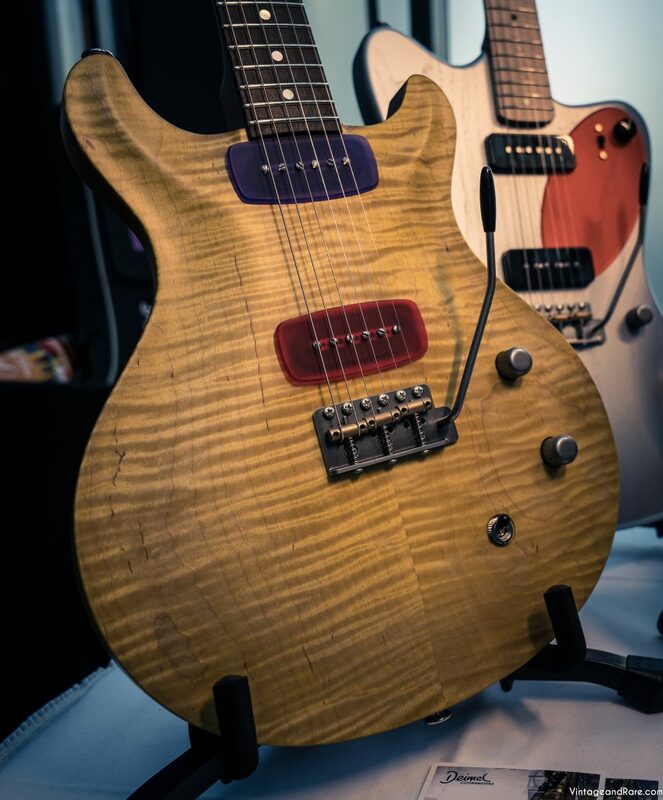 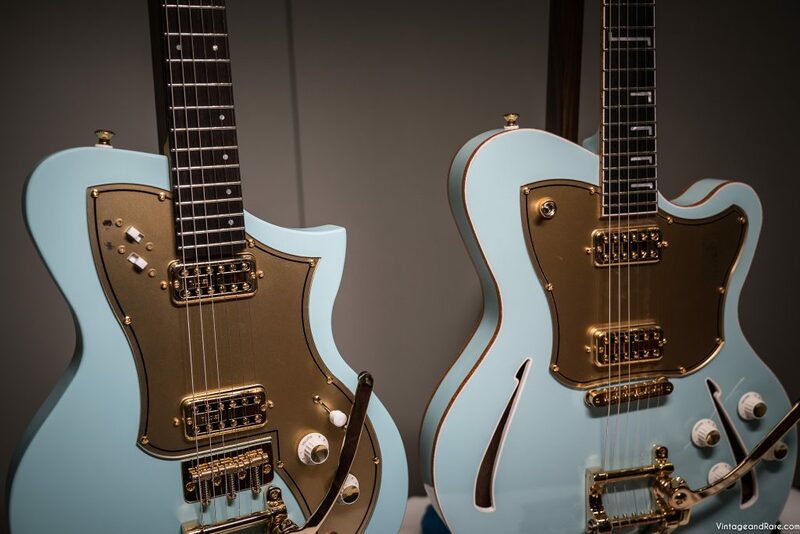 It has been on our scope for years to get an interview with Fred on camera – and this year we finally managed to sit down with him and talk guitars and guitar building. 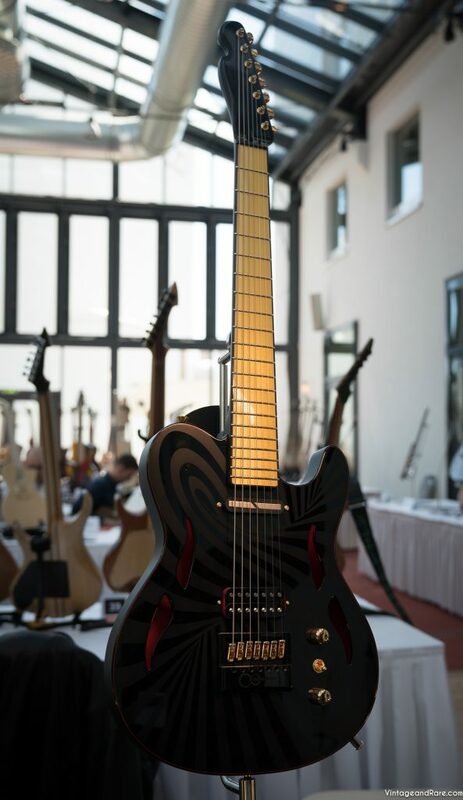 We couldn´t take our eyes of “Multi No.2”, when we first laid our eyes on it. 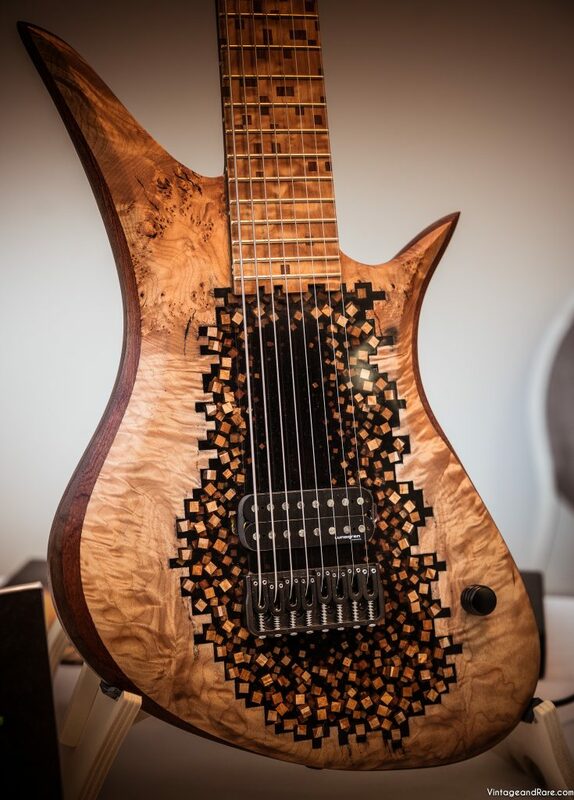 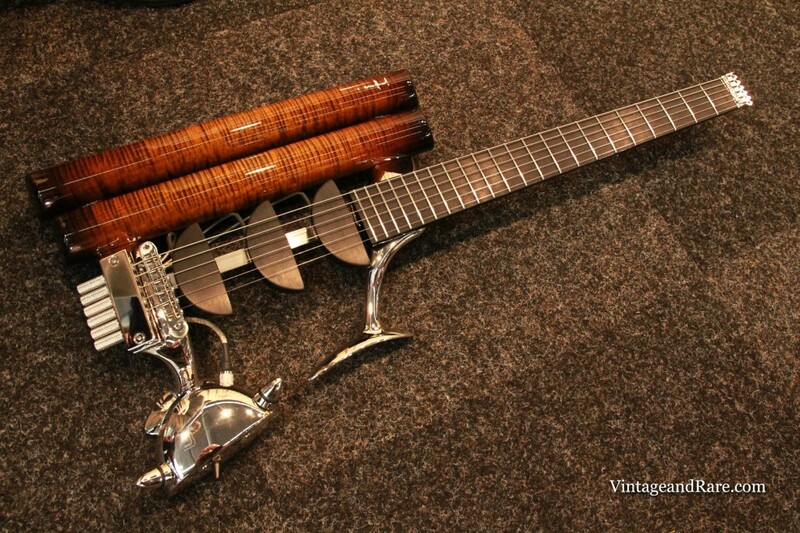 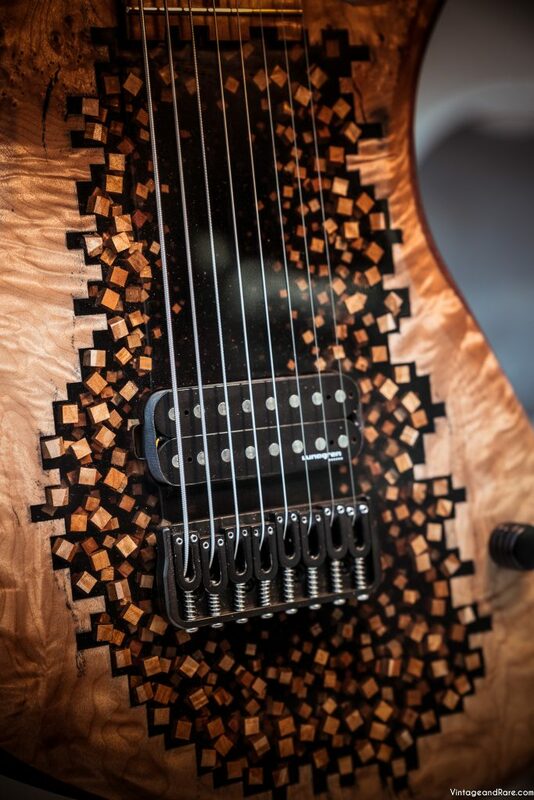 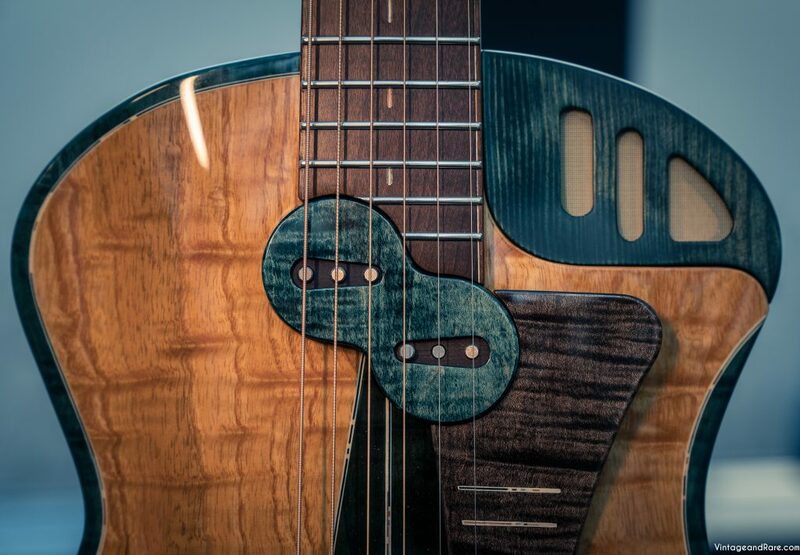 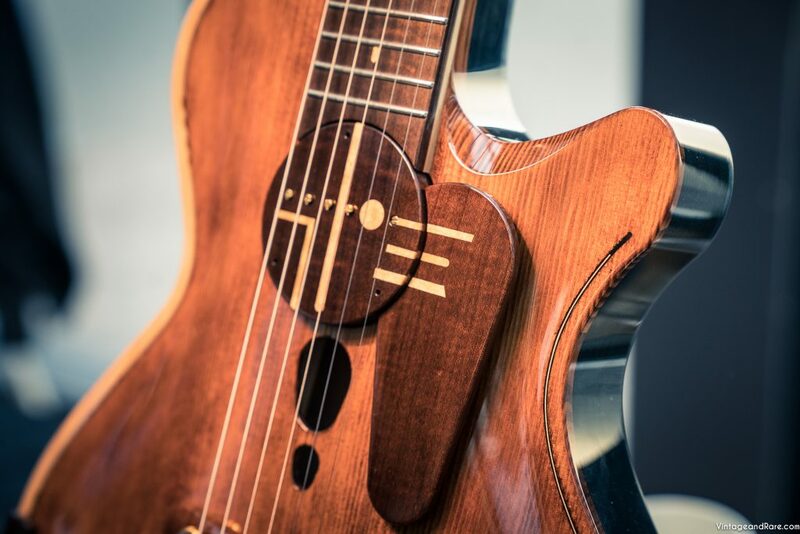 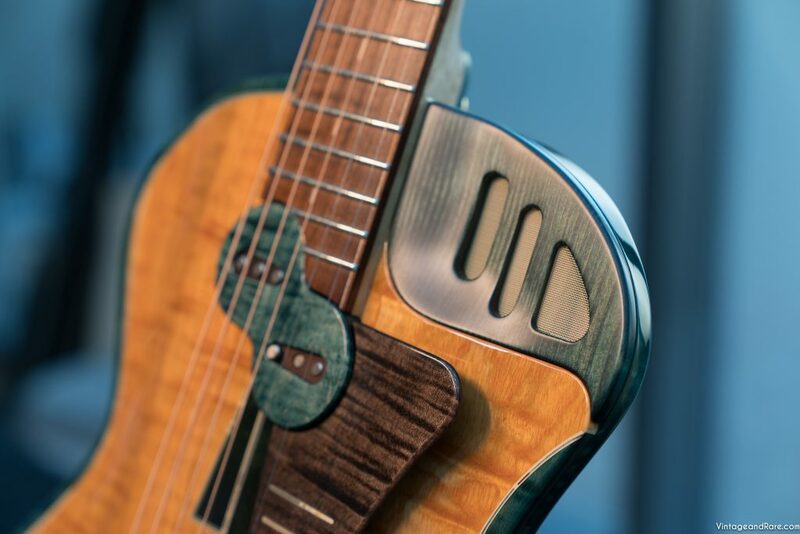 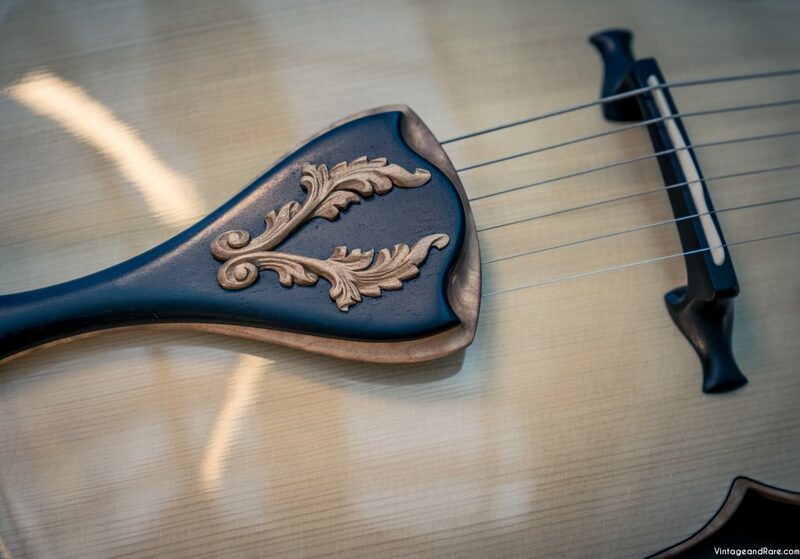 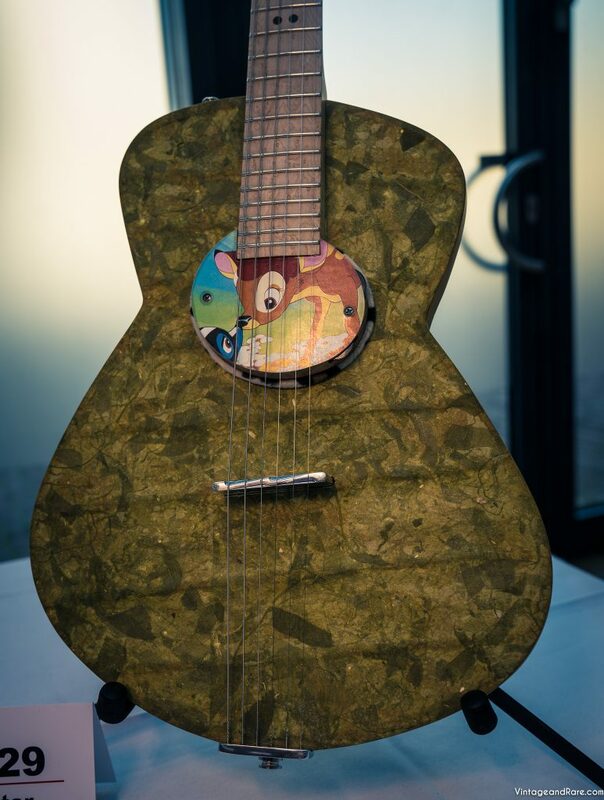 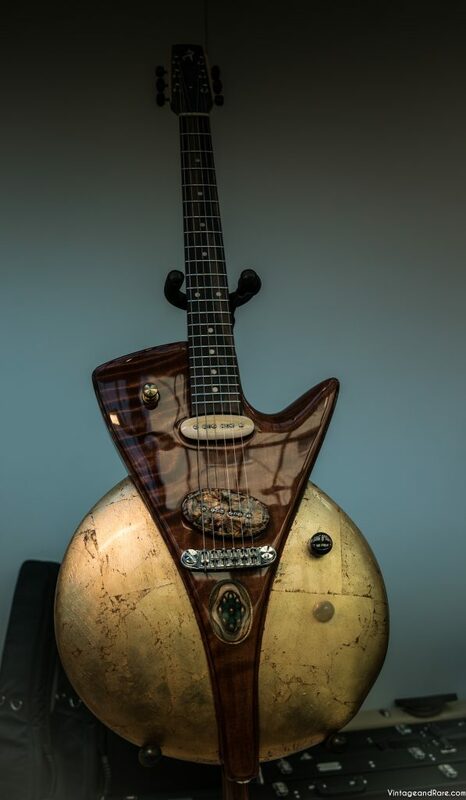 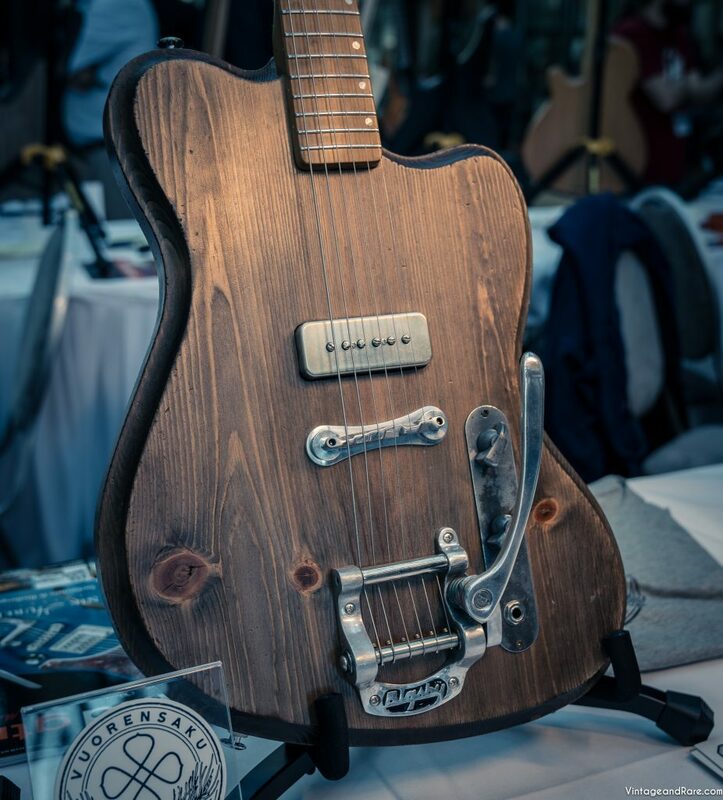 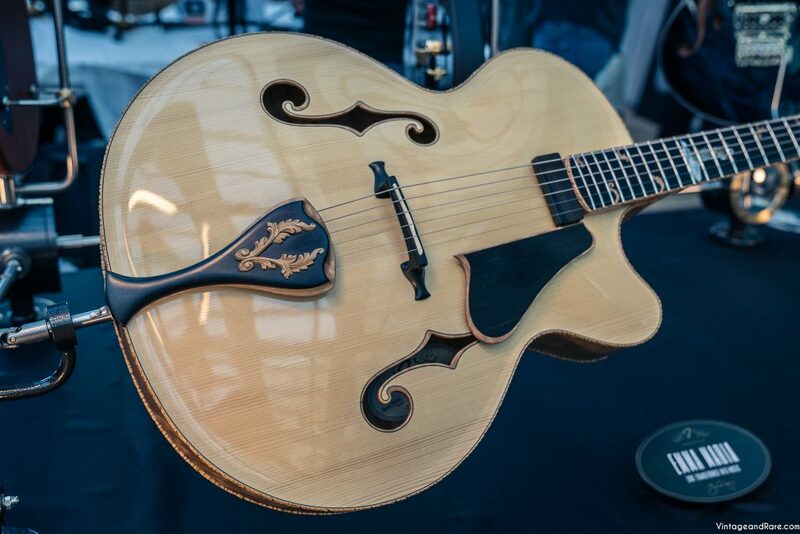 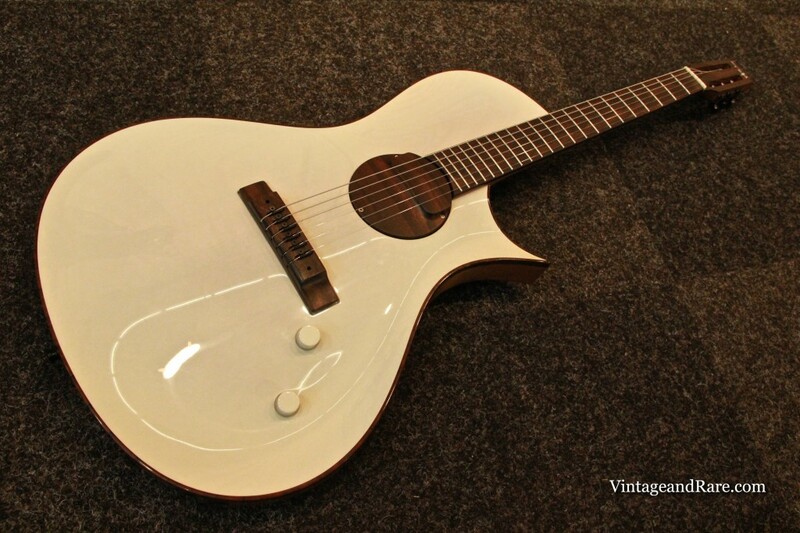 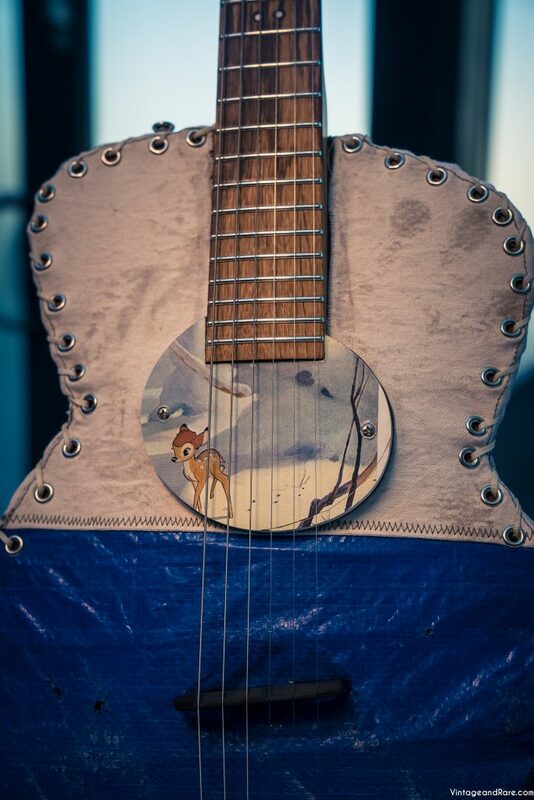 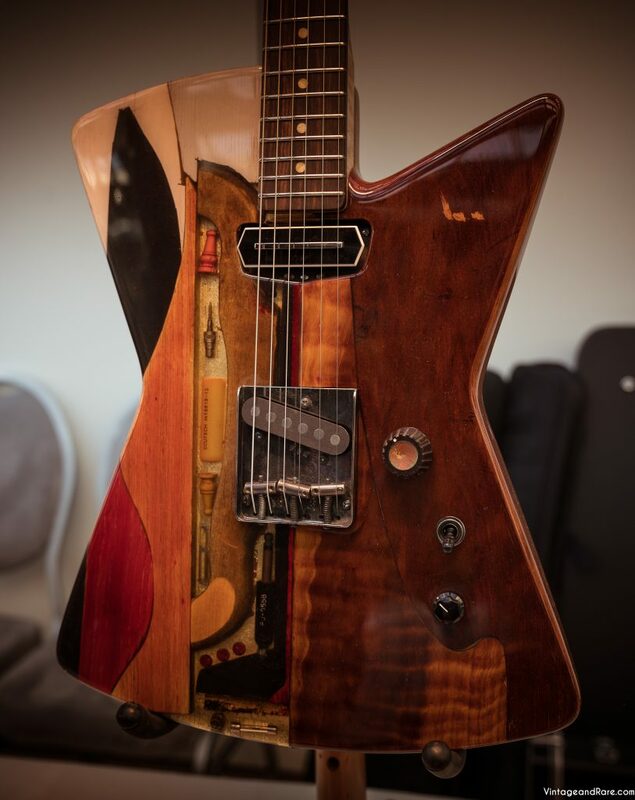 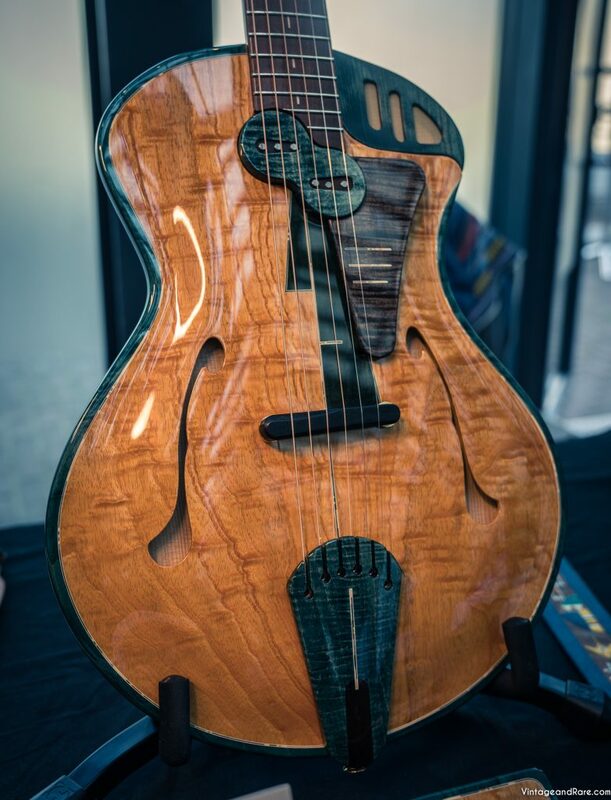 It´s a very unique creation made by canadian luthier Thierry Andre aka André Instruments. 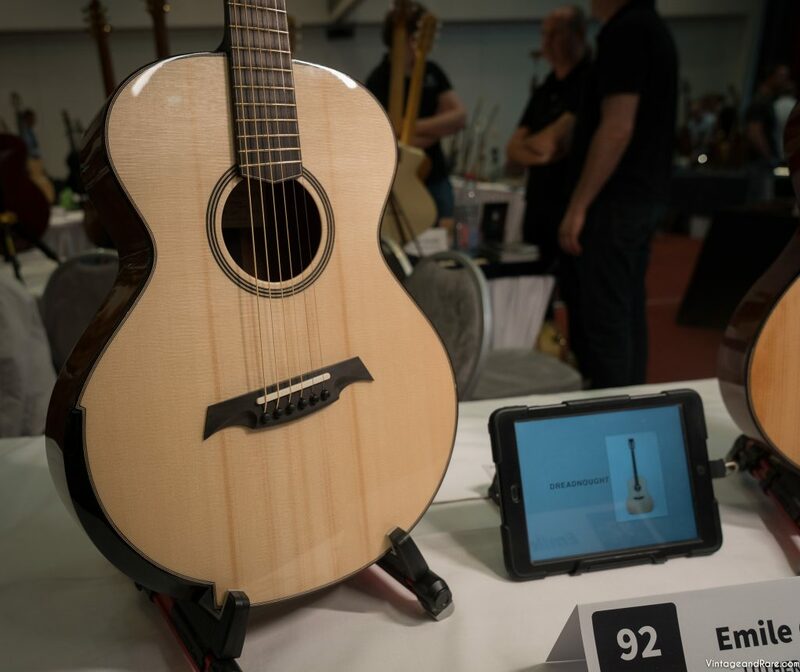 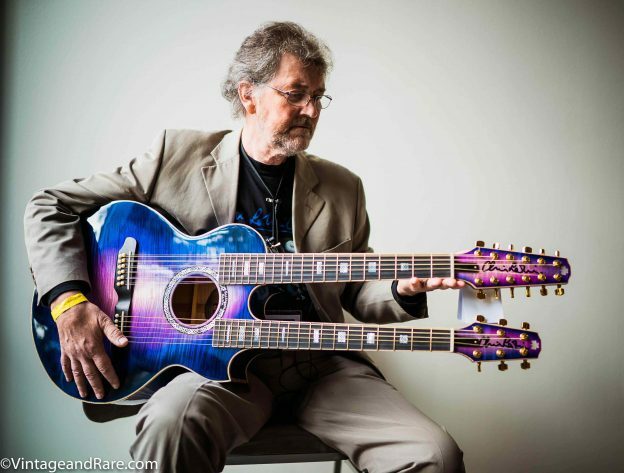 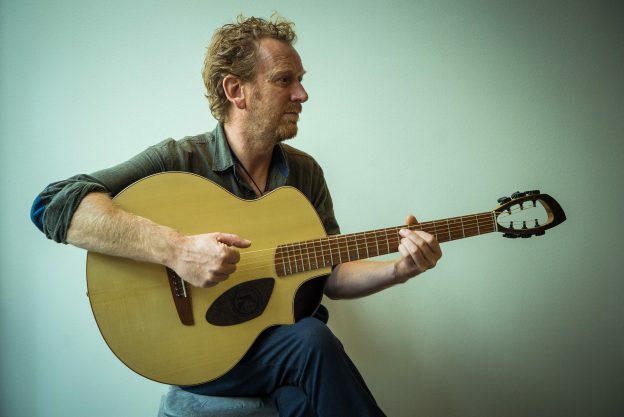 We met up with Irish luthier, Chris Larkin, on Holy Grail Guitar Show for a little chat. 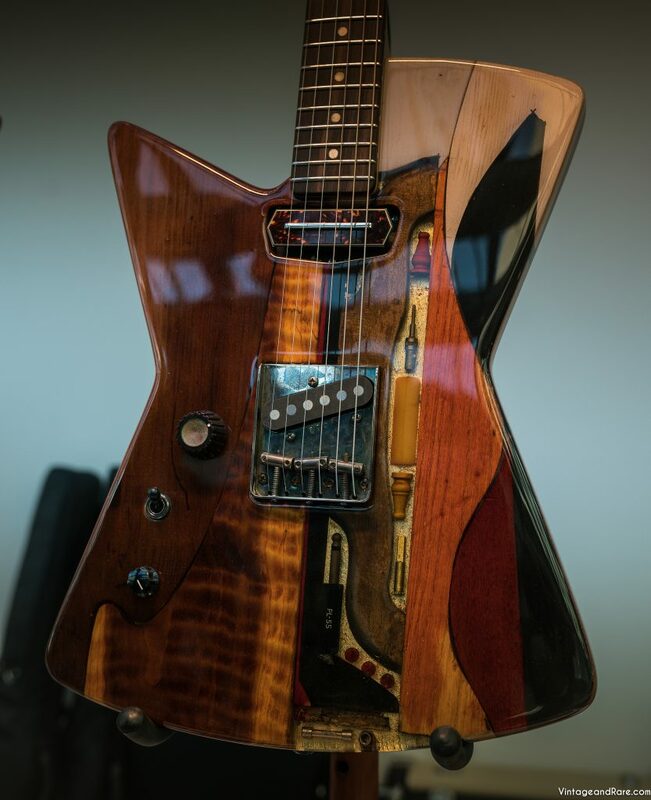 On this clip Chris talks about his opinion about using local woods versus tropical woods in guitar building and the responsibility of saving the planet. 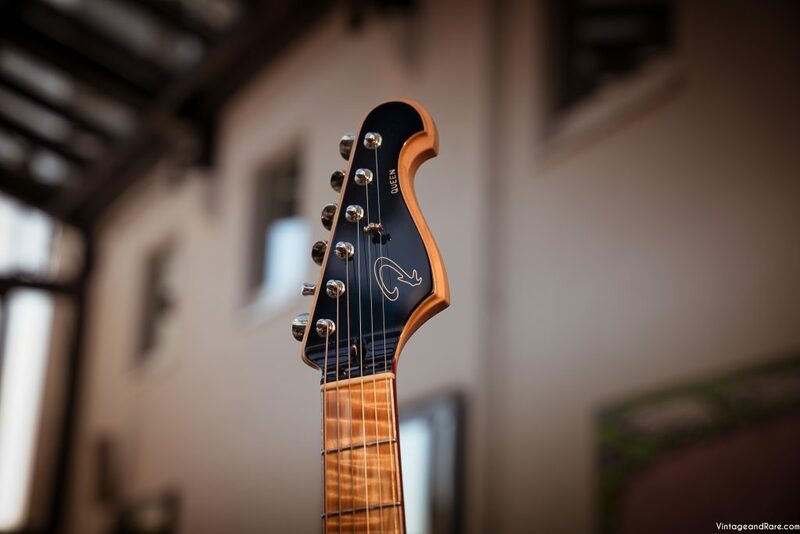 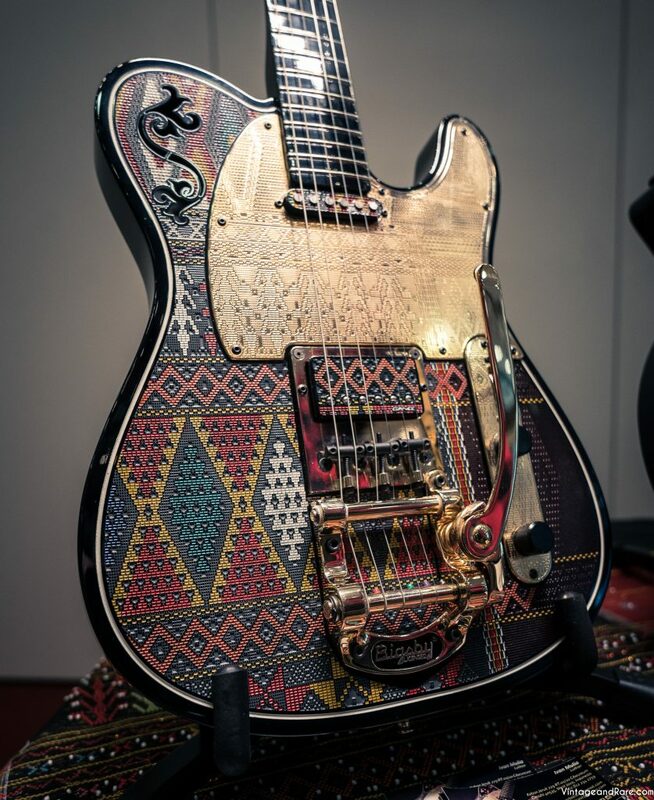 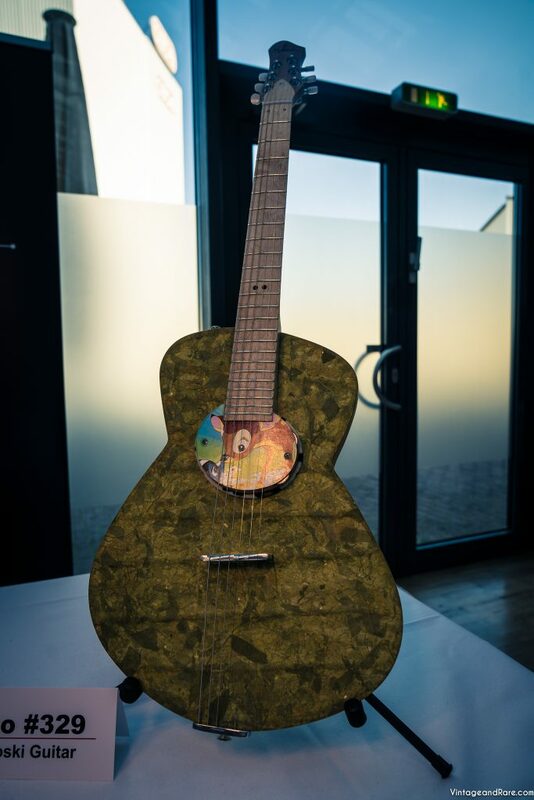 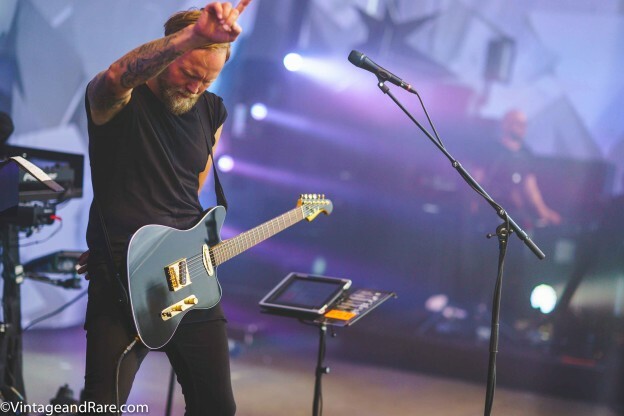 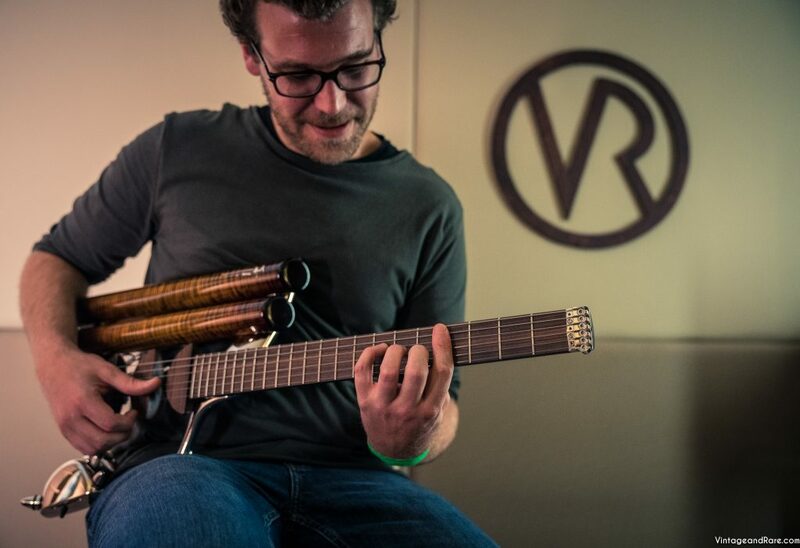 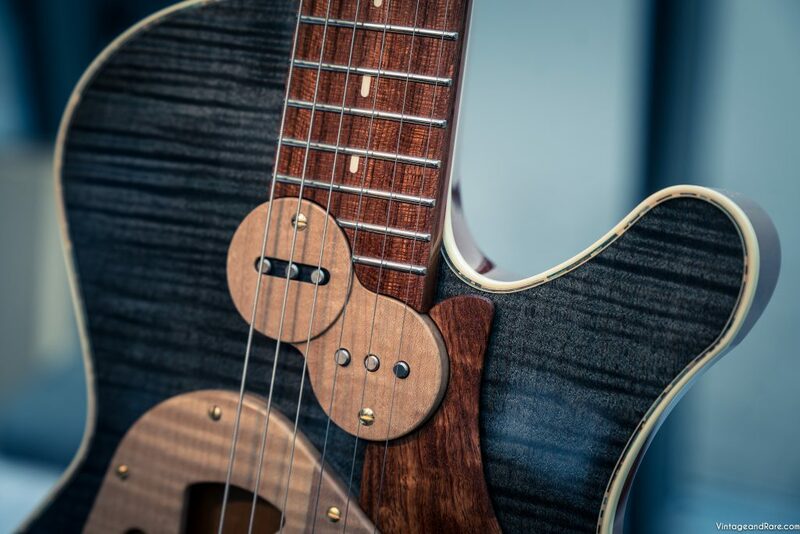 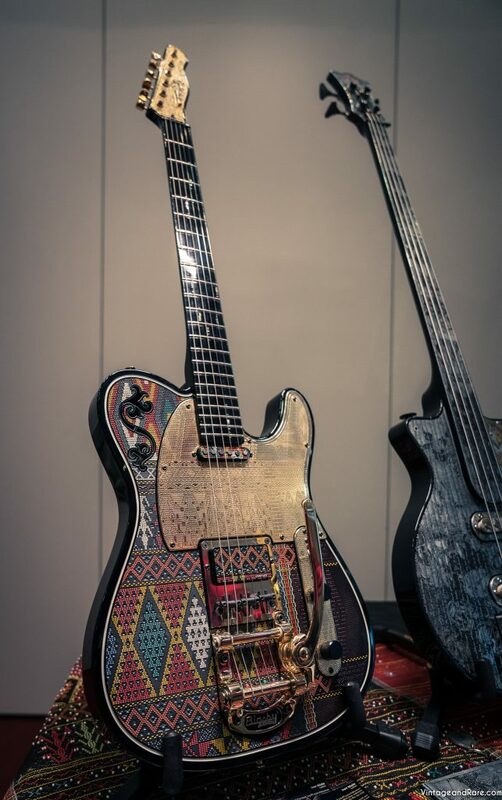 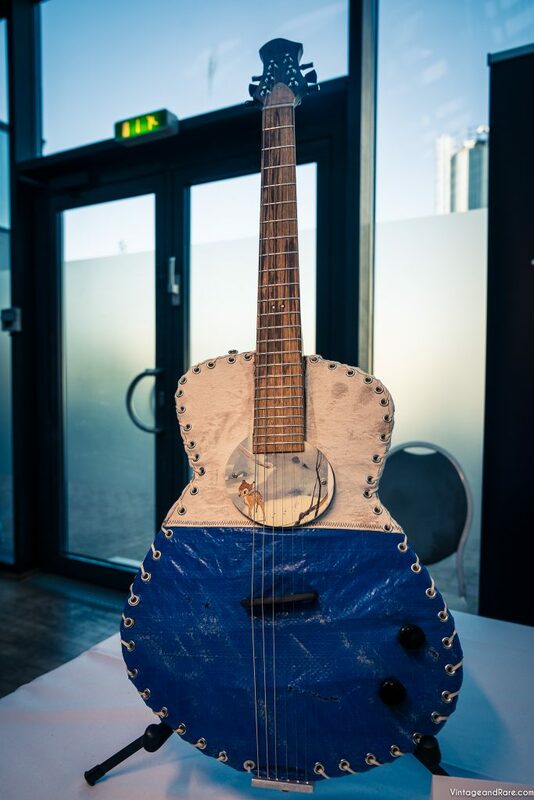 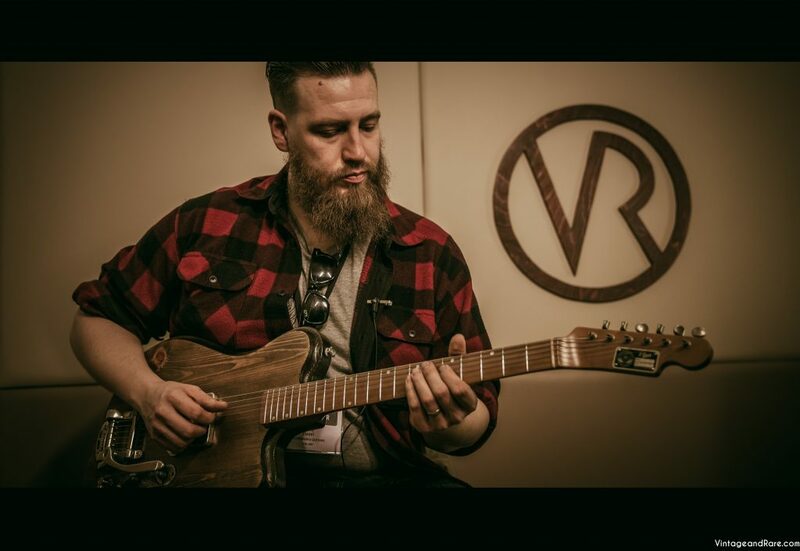 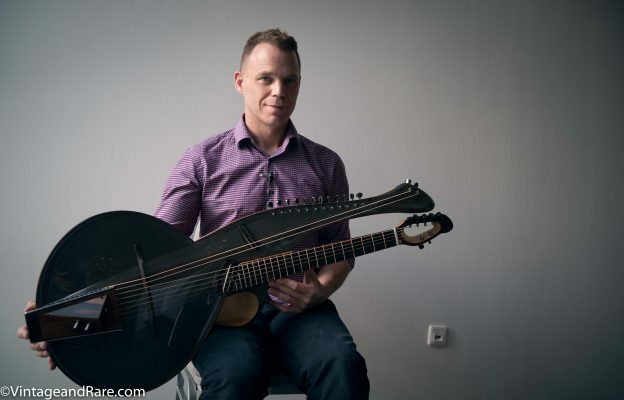 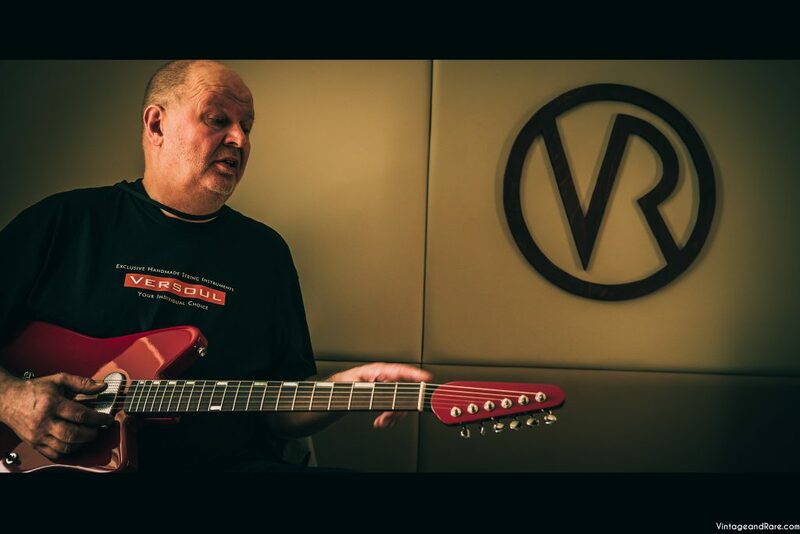 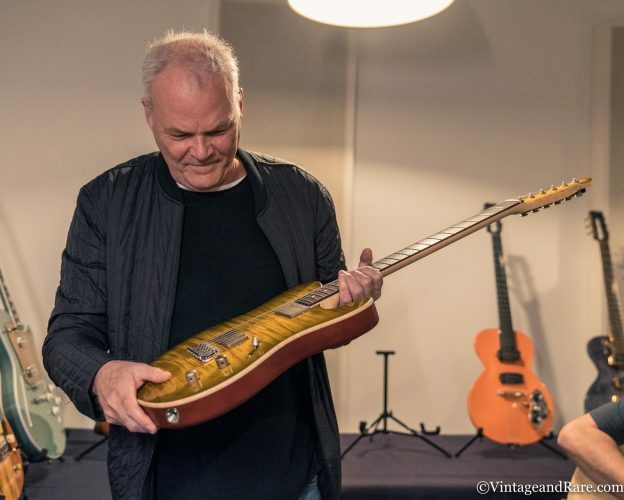 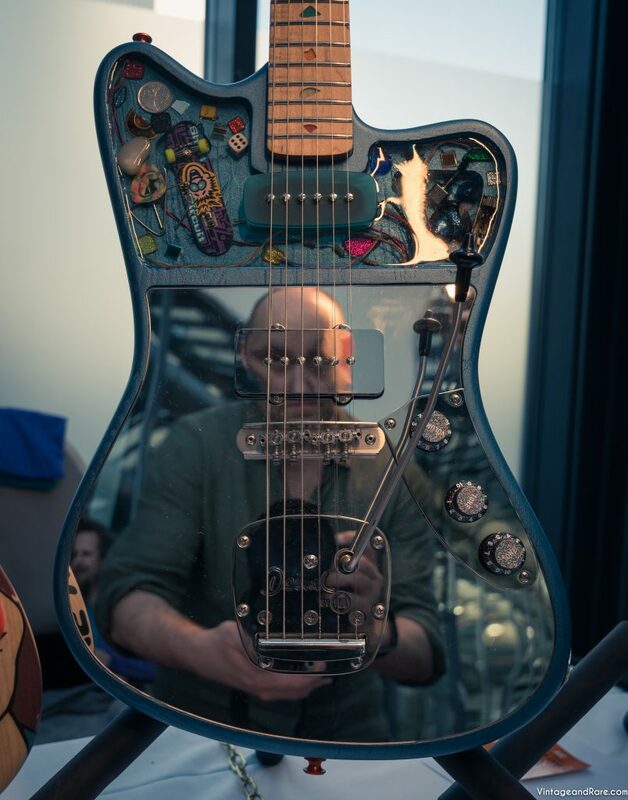 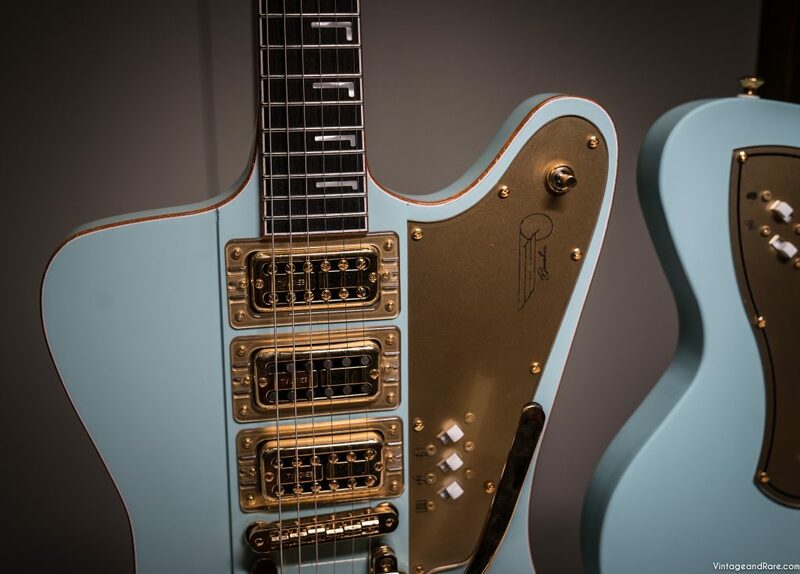 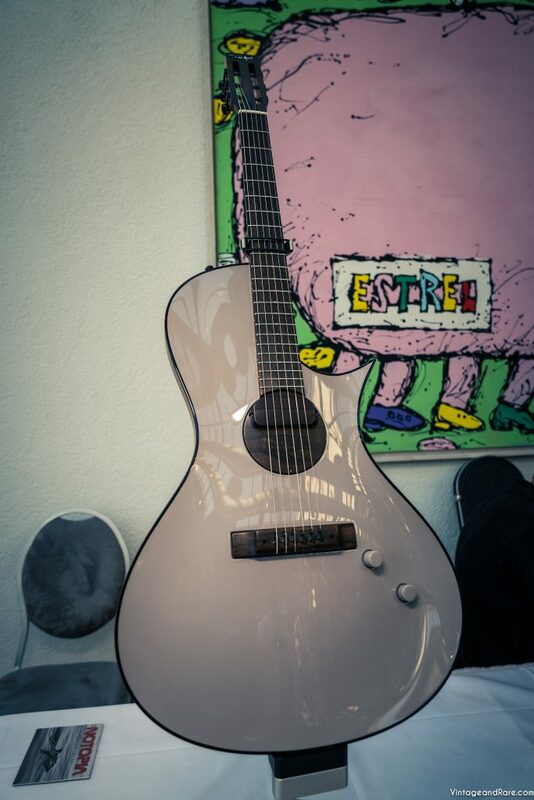 Guitar player extraordinaire, Thomas Andersson, contacted us before his summer tour 2016 with an interesting custom guitar project for this specific tour. 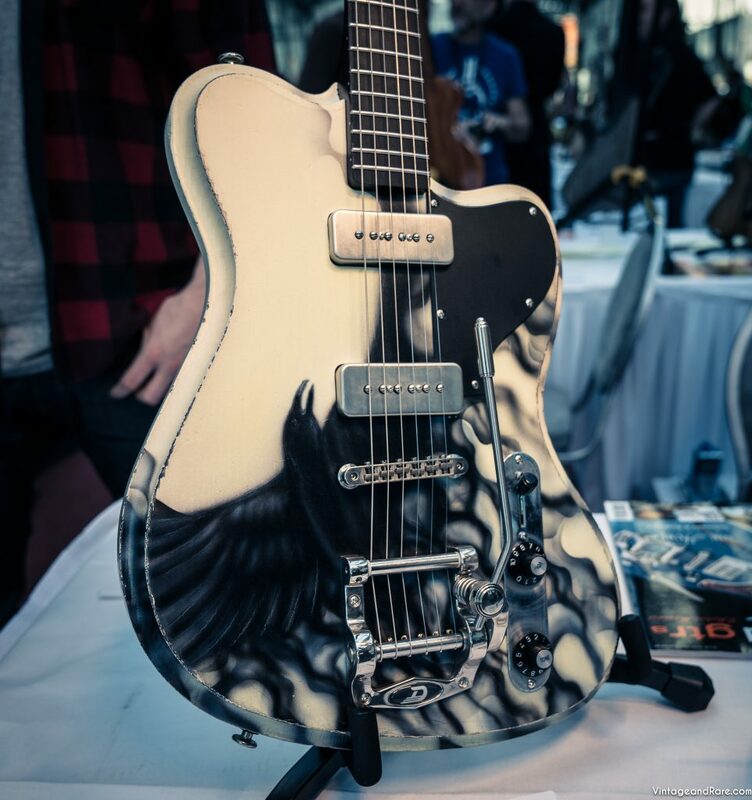 We met up with luthier Pierre Dubré aka Dubré Guitars and came up with a JM design based on Telecaster hardware specs with bindings. 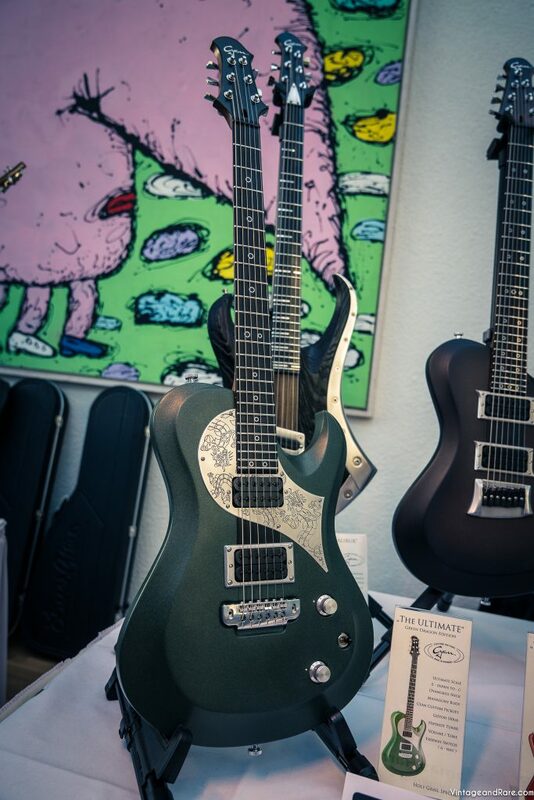 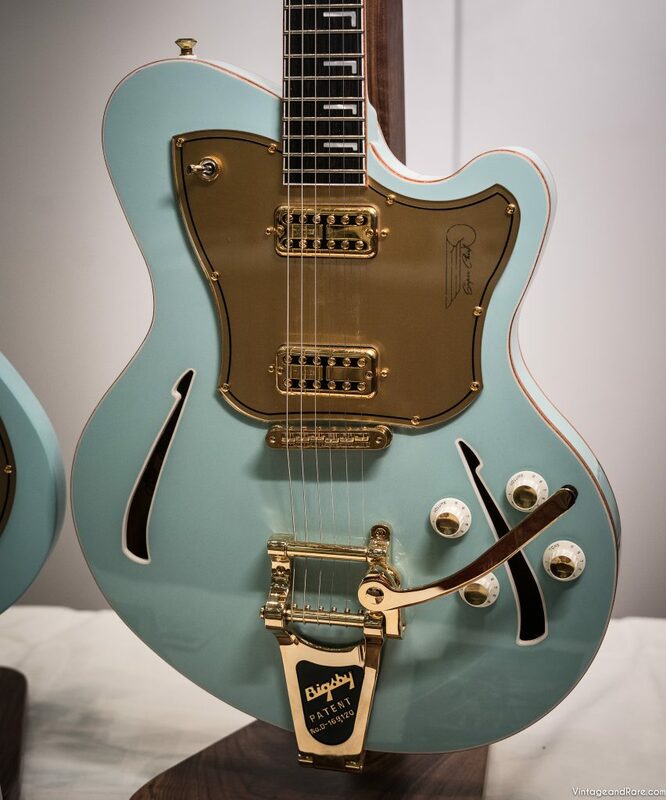 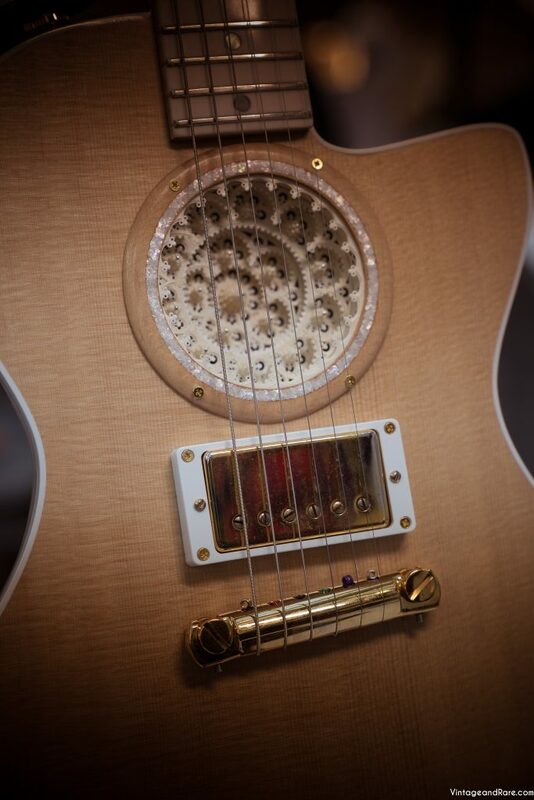 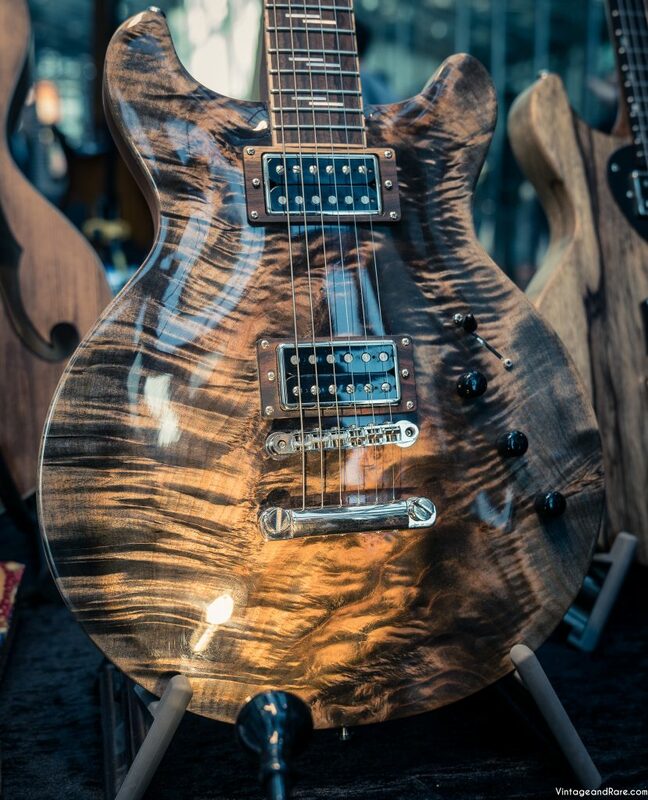 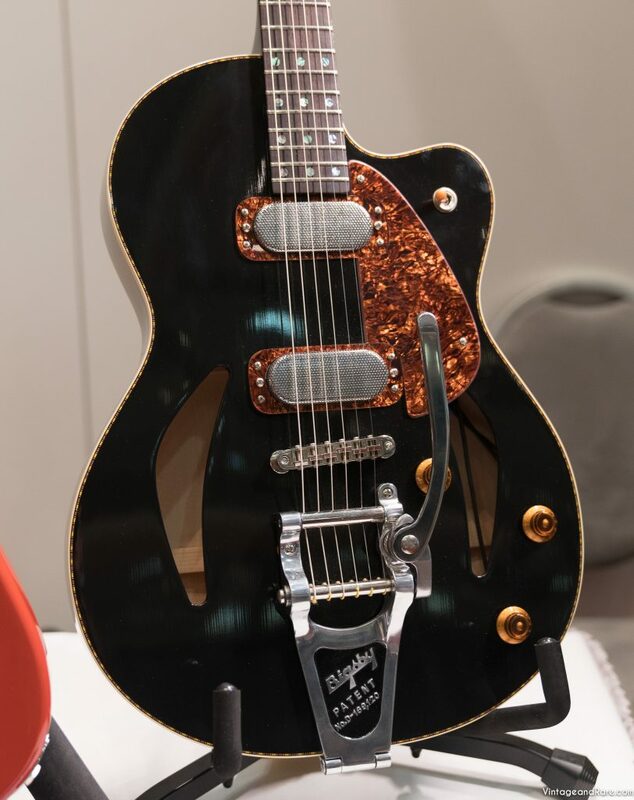 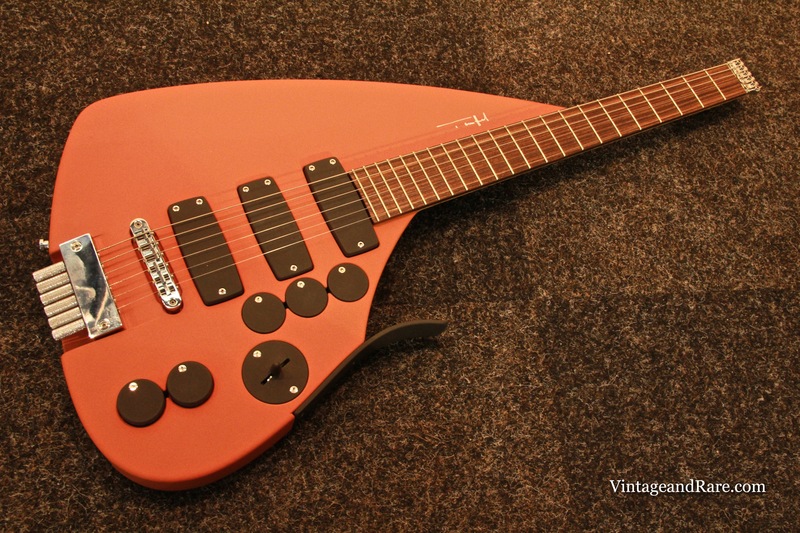 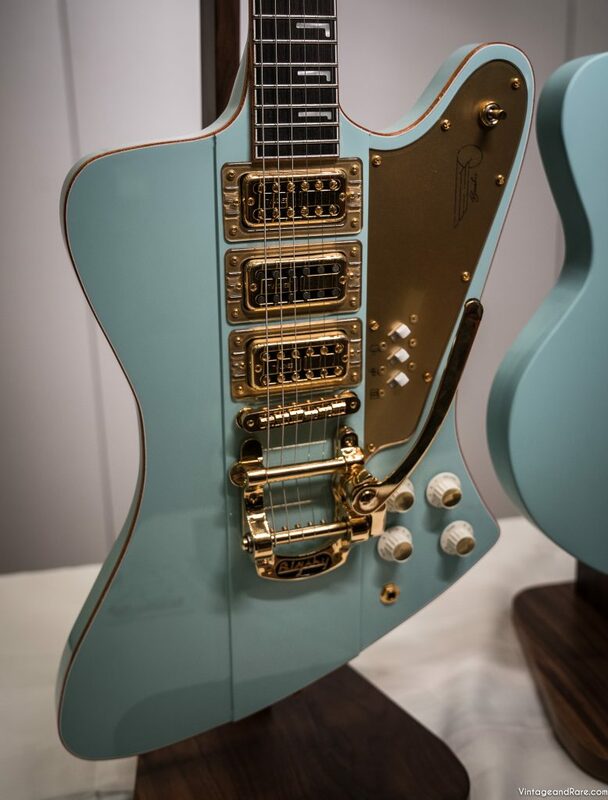 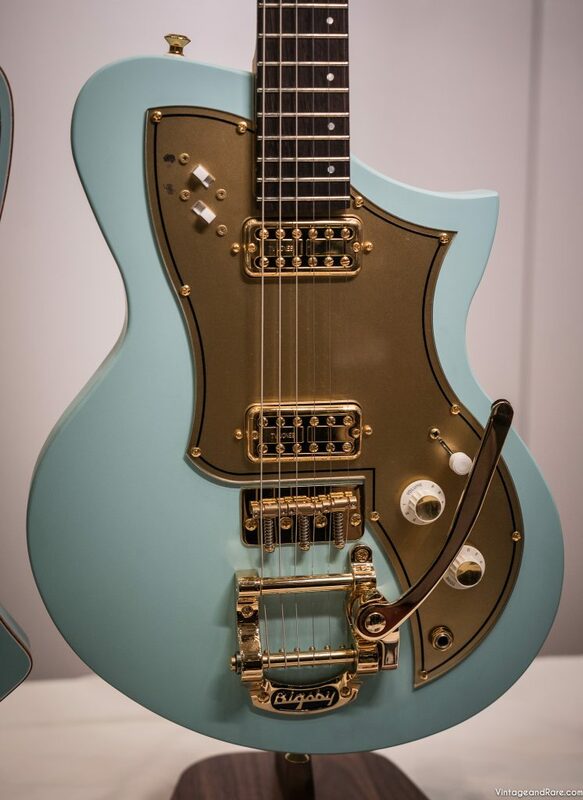 We named this specific guitar JMT Custom. 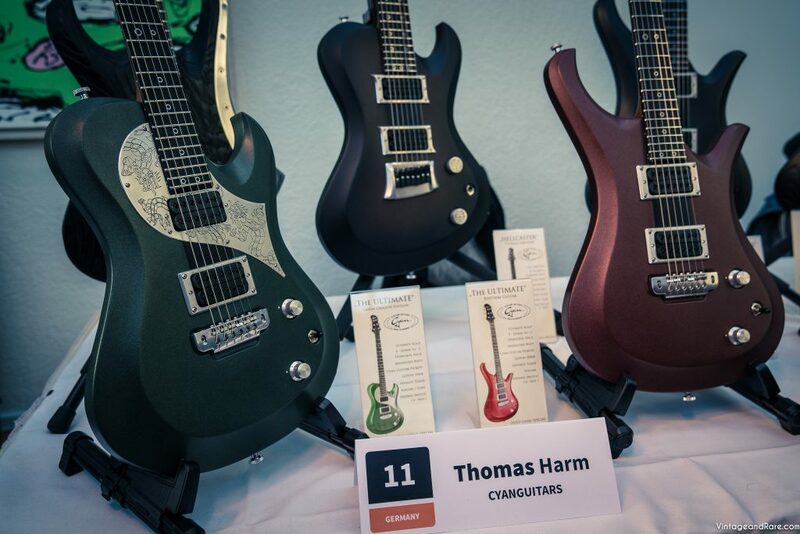 On the pics below you can see Thomas play the JMT Custom on Grøn Koncert 2016 with artist; Nik & Jay. 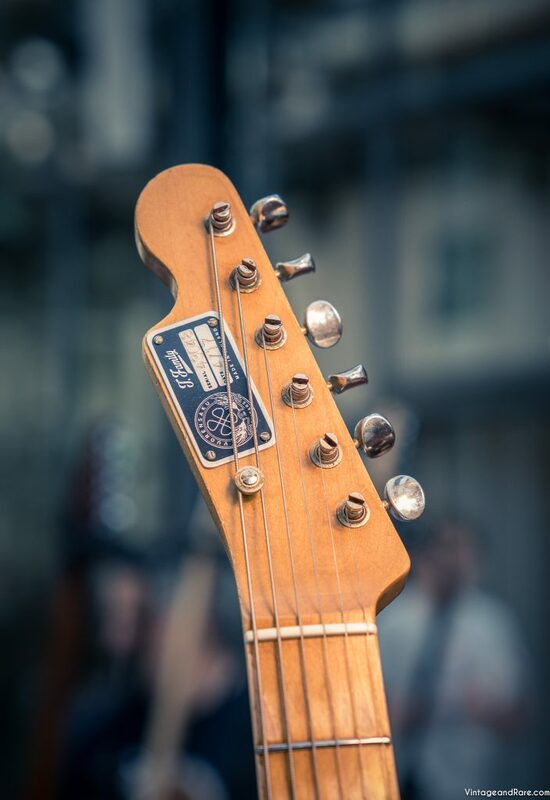 At one time I had three Strats in my workshop: a 1963 sunburst worth 9.000 Euros, A 2001 white Custom Shop, master-built by John English, worth 5600 Euros, a 2004 Mexican ‘Buddy Guy’ signature strat, worth 600 Euros. 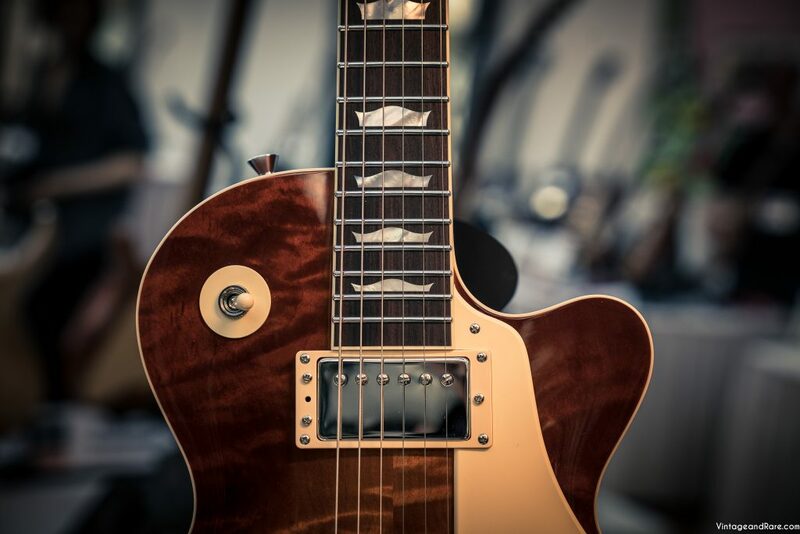 They all needed a fret leveling job, and they all needed new strings and a proper set-up. 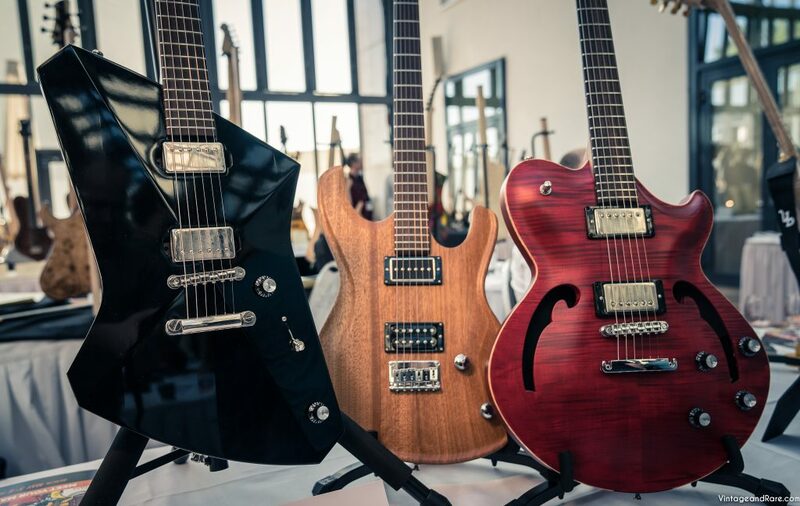 All three are built to exactly the same design, and they all had alder bodies, and Maple necks. 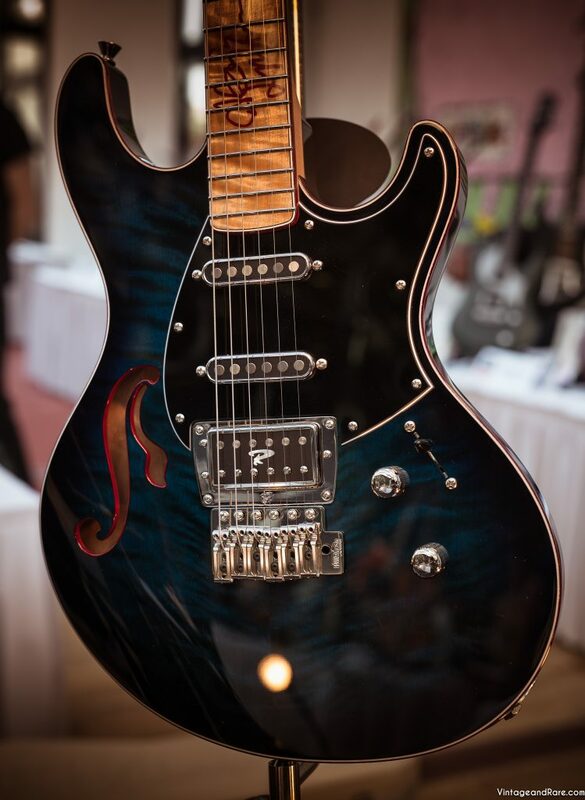 They were all fitted with three single coil pickups each, and sported a vintage-style Fender Synchronized tremolo bridge The Buddy Guy had a maple fretboard, the two others had rosewood fretboards. 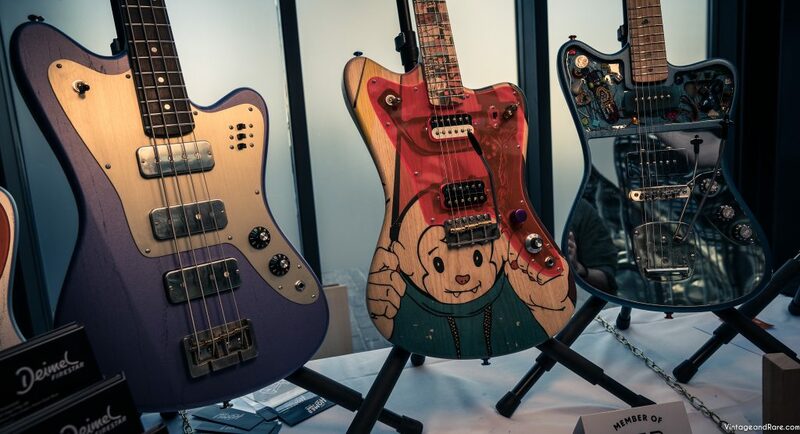 Which one did I like the most? 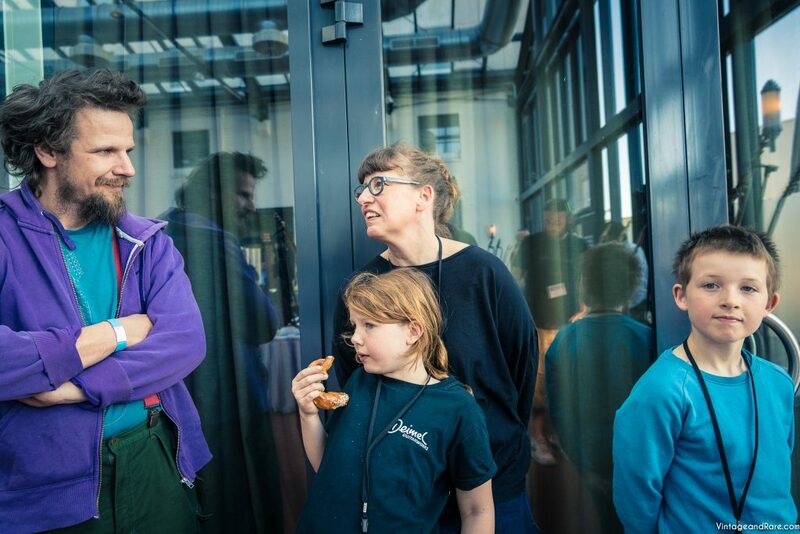 Not an easy question to answer, since I am four ‘I’s. 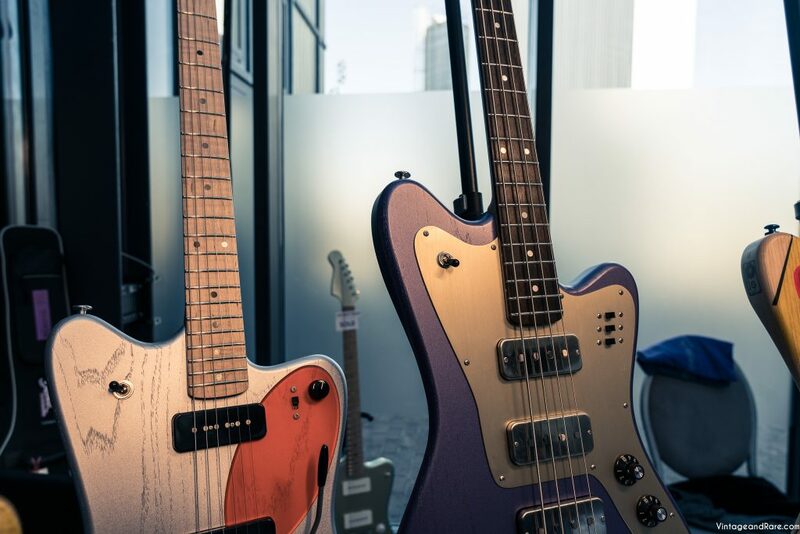 I like listening to guitar playing, I like playing guitar myself, I like teaching guitar, and I like working on guitars. 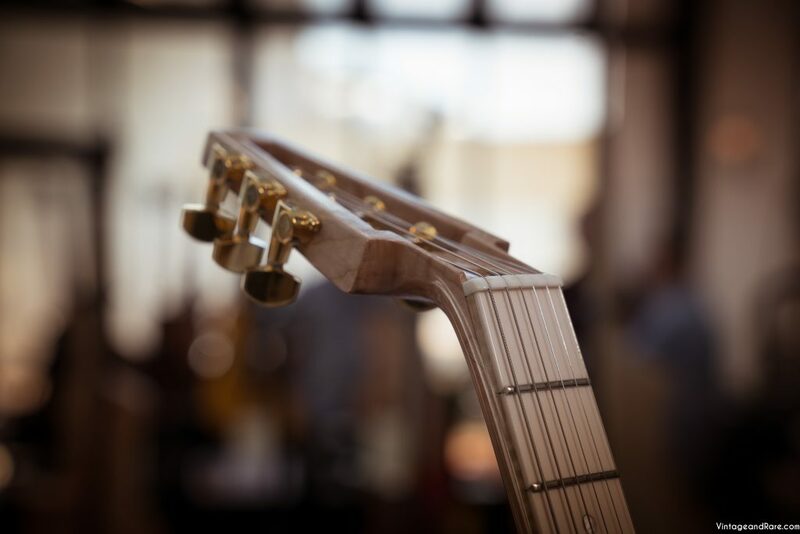 To each guitar, I am audience, user, instructor, and caregiver. 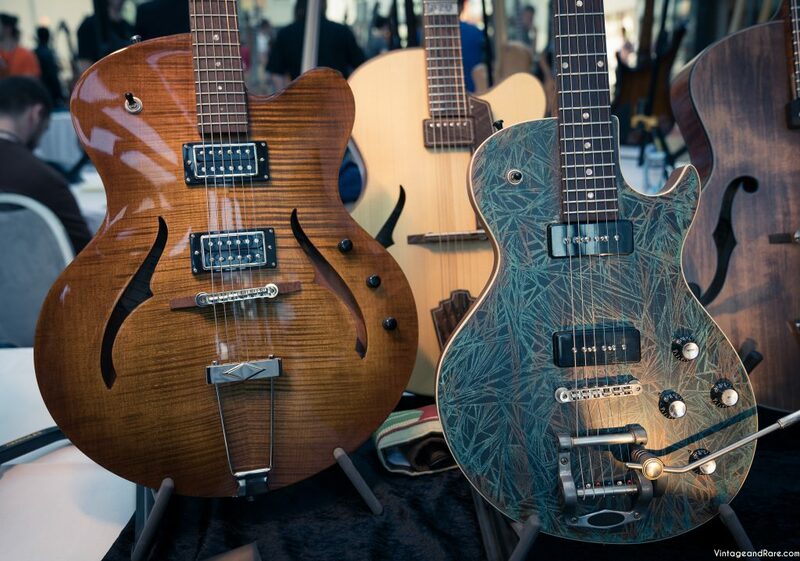 Each guitar that comes in, gets plugged into the dry channel of my Roland Jazz Chorus. 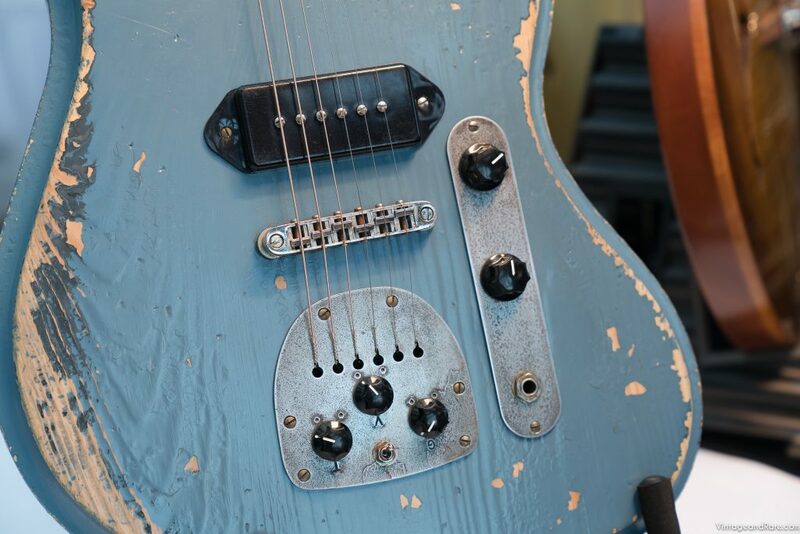 It is not the most musical of amps, but it is plain honest. 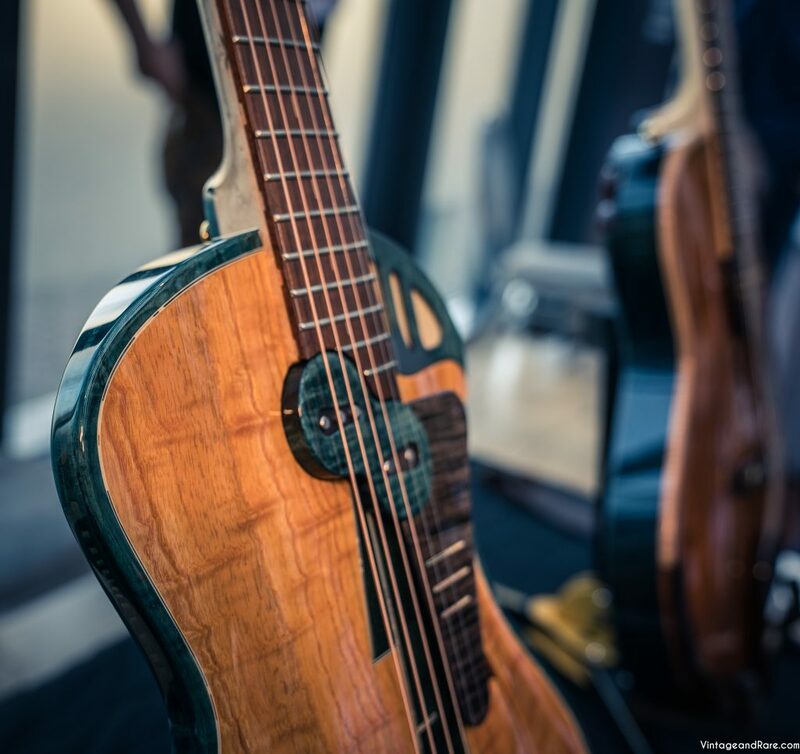 Tube amps are instruments in their own right, that is why I find it difficult to distinguish between the sound of the guitar, and that of the amp. 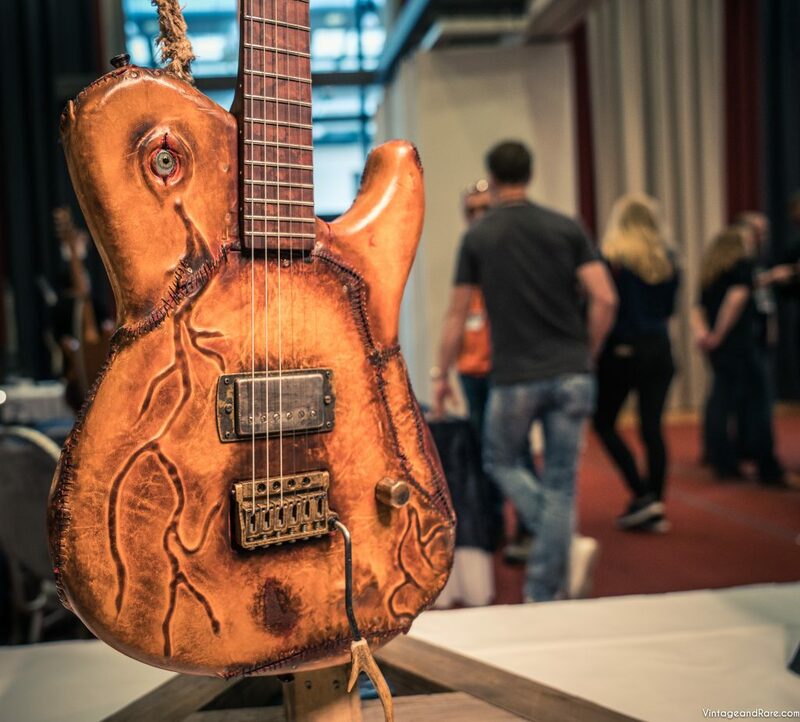 It is like tasting a Frankfurter, wrapped in a bun, embedded in tasty Sauerkraut and with French mustard on top. 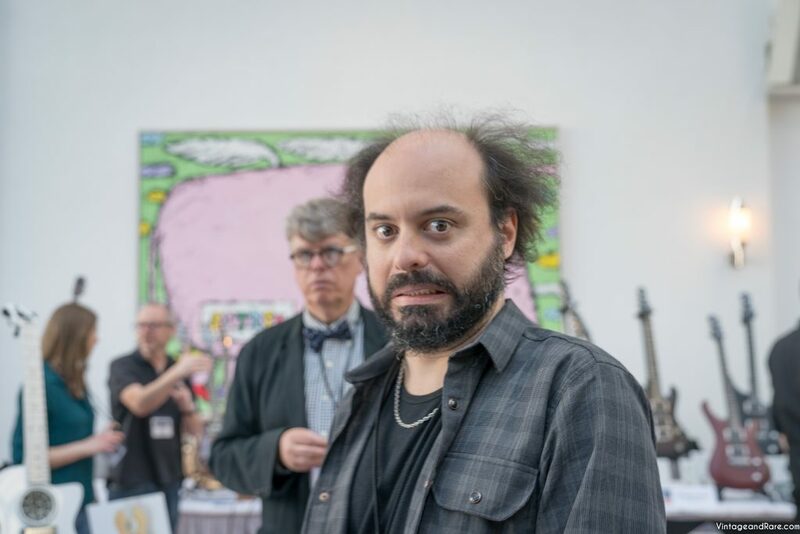 You can say you had a great hotdog, but you can’t really say much about the Frankfurter inside it, that way, right? 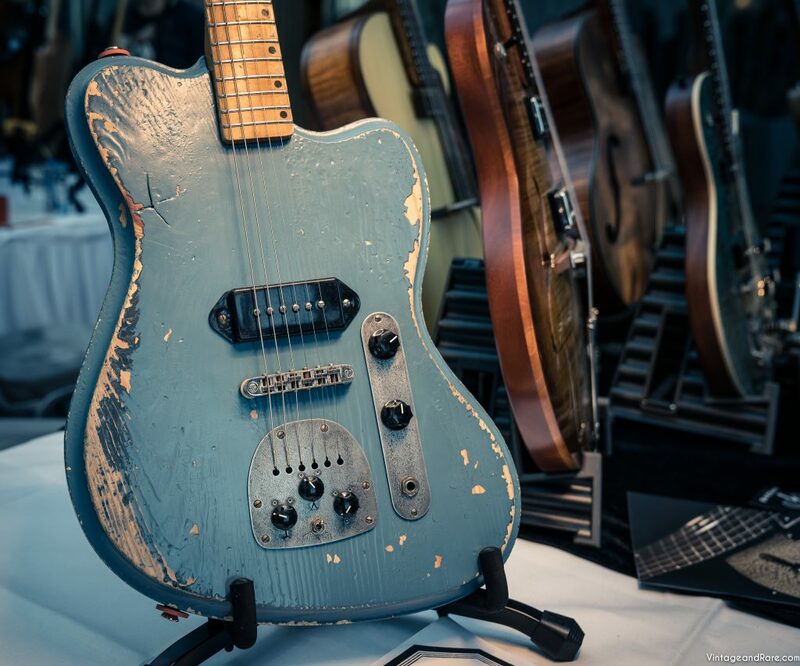 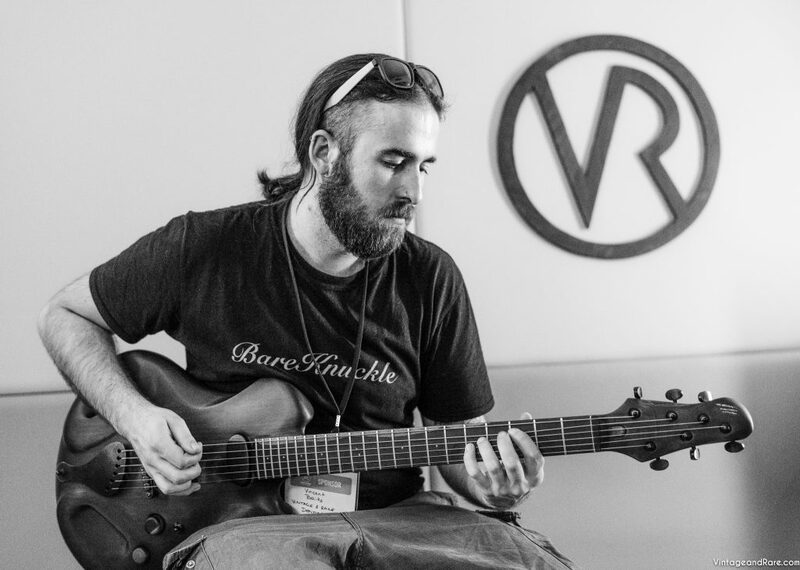 Interview w. Cristian Mirabella at Holy Grail Guitar Show 2015. 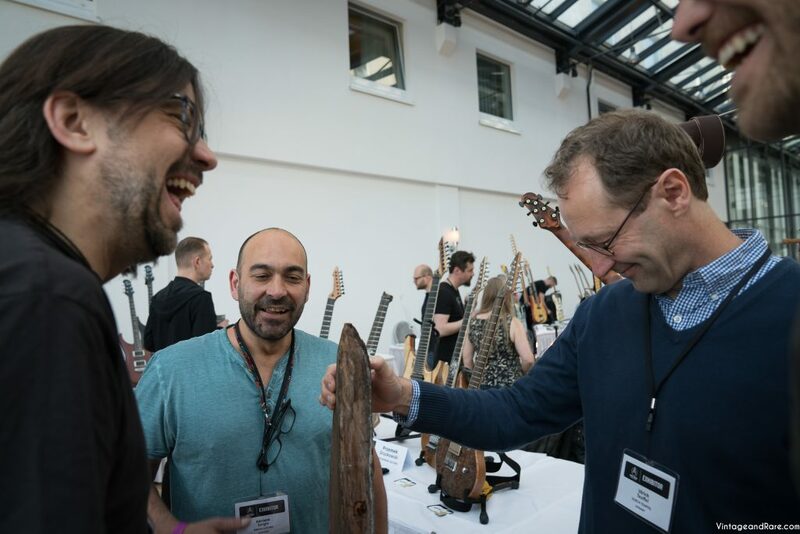 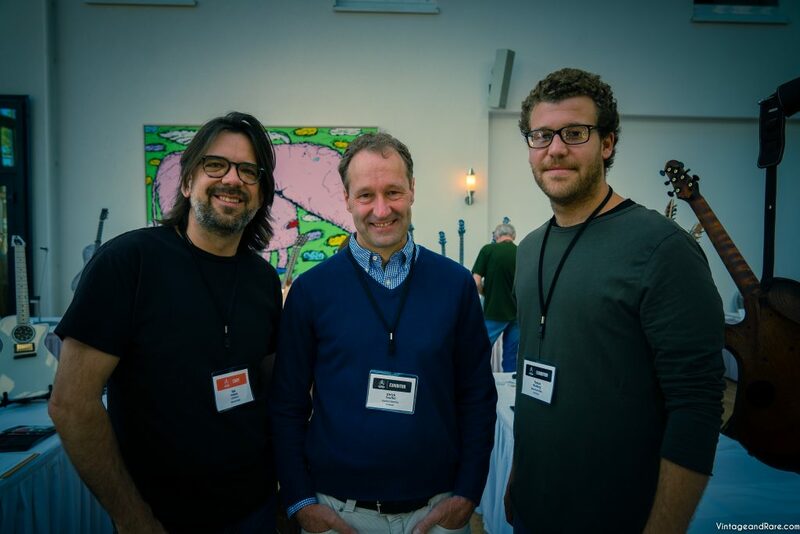 We had the pleasure of meeting up with luthier, Cristian Mirabella, of Mirabella Guitars from New York in Berlin during Holy Grail Guitar Show 2015. 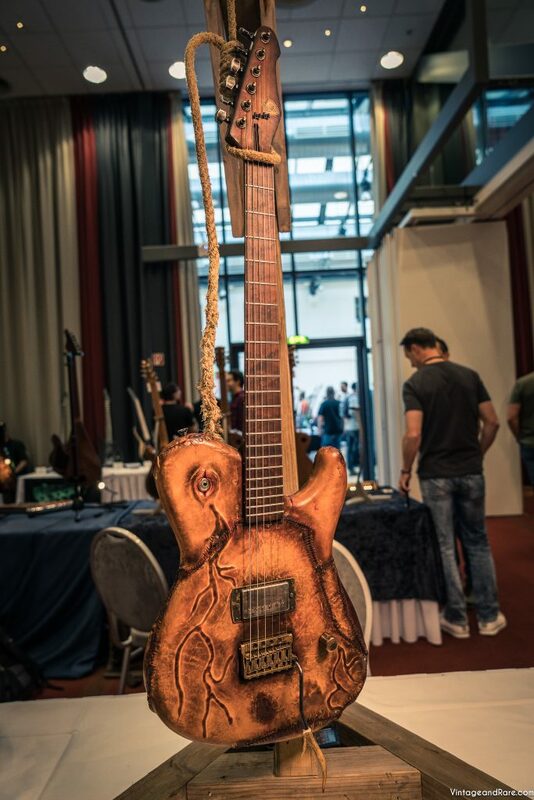 On this video Cristian tells us a little bit about the history around him as a builder and also tells us a bit about one of this unique creations that he brought to the show. 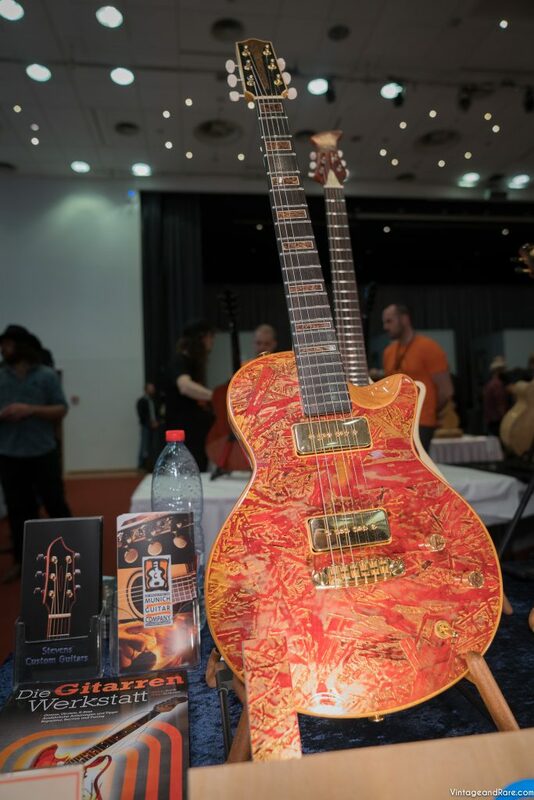 Guitarplayer, Ratko Zjaca, was kind to lend his time to demo the guitar.